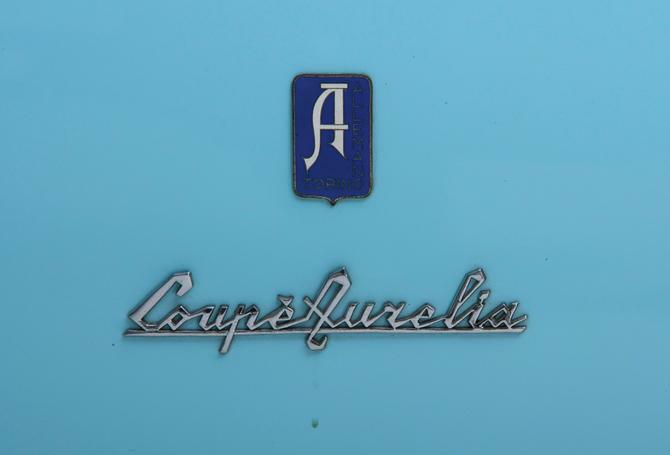 Carrozzeria Allemano (established 1928, discontinued 1965) was an automobile coachbuilder in Turin, Italy, owned by Serafino Allemano. 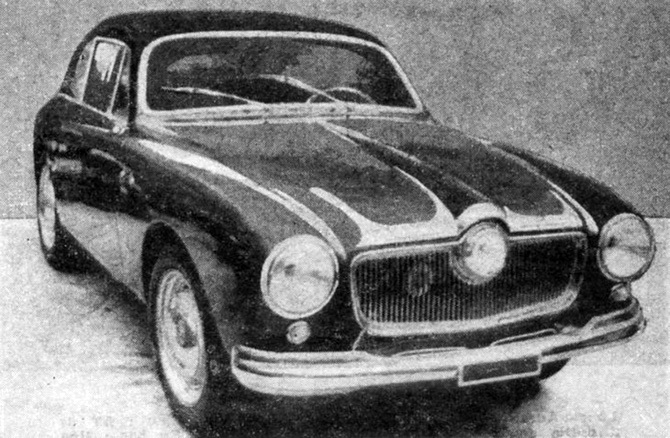 Allemano made various cars based on their own designs, and in some cases, externally made designs, such as those by Giovanni Michelotti. 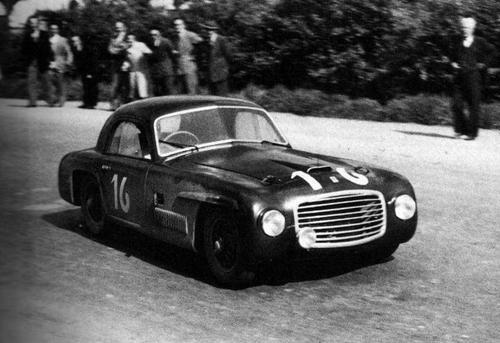 Some of the earlier cars were the Ferrari 166 S (1948, when it won the Mille Miglia with Clemente Biondetti behind the wheel), Alfa Romeo 2500 (1950) and Lancia Aurelia (1952). 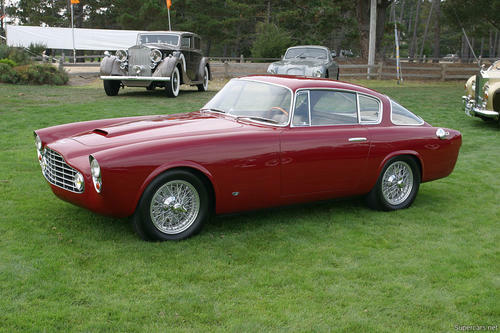 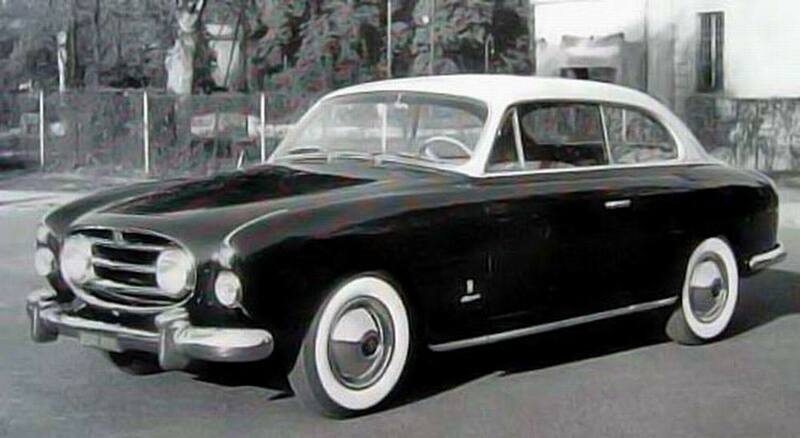 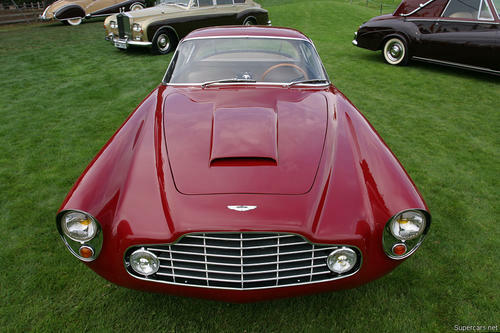 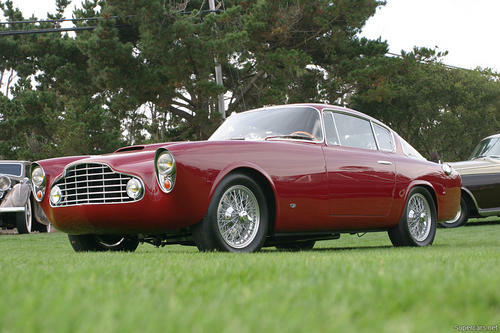 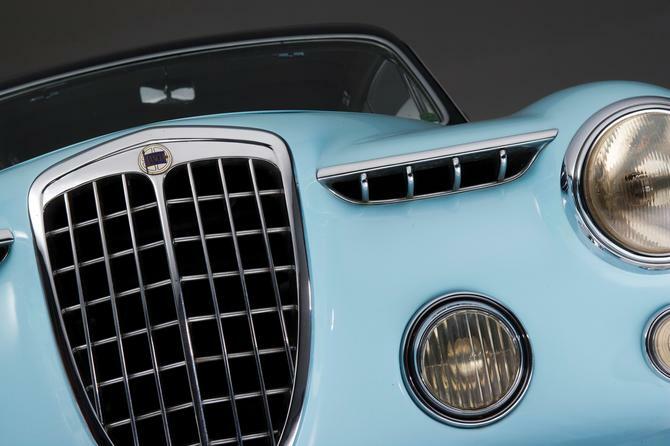 The Cisitalia 202 Berlinetta (#105, 1951) was designed by Carrozzeria Scaglietti but built by Allemano. 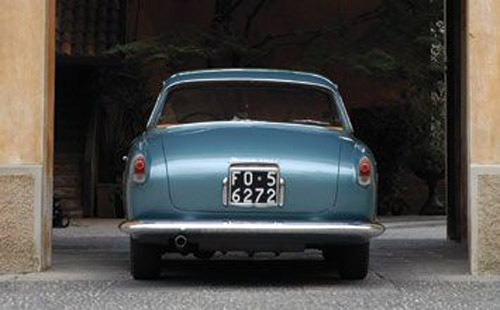 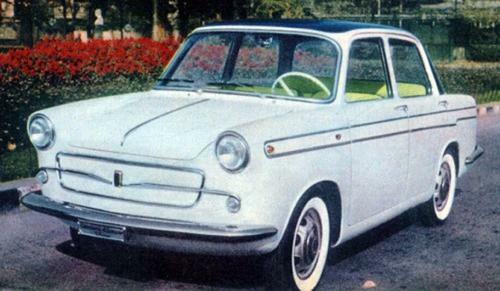 For Fiat Allemano created three Fiat 1100 TV (by Michelotti, 1954), the Fiat 600 (1955-1958), a few Abarth 750, Fiat 850 and Fiat 2200. 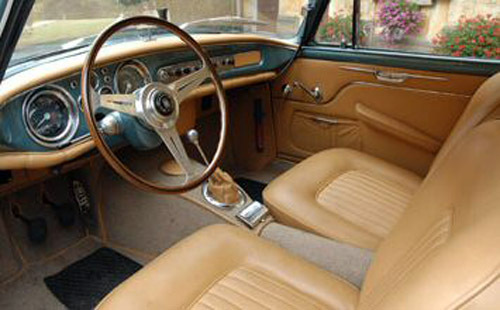 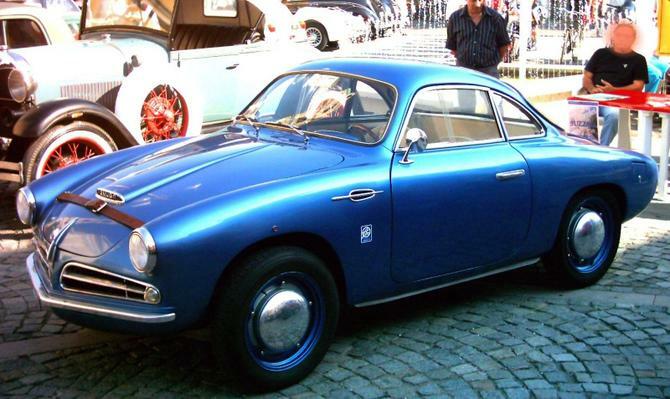 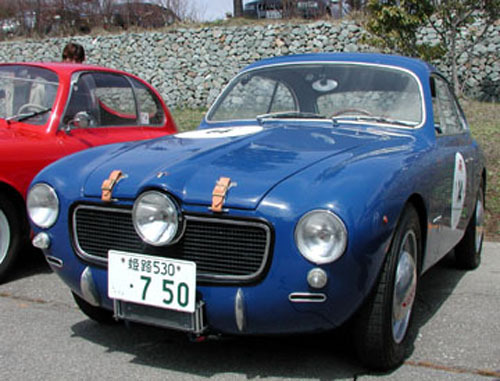 Some of the Fiat 600 designs were also used by Abarth and Siata. 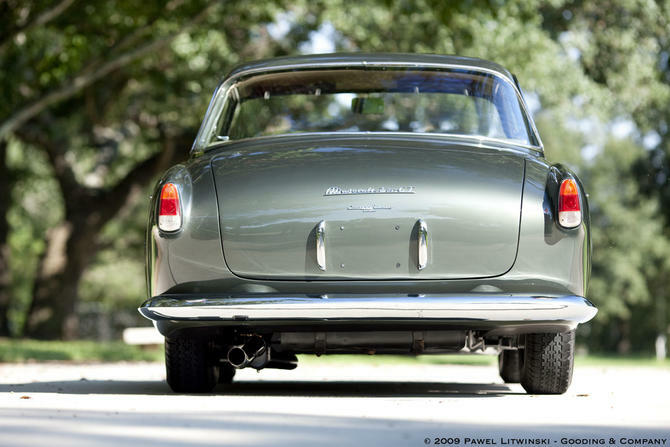 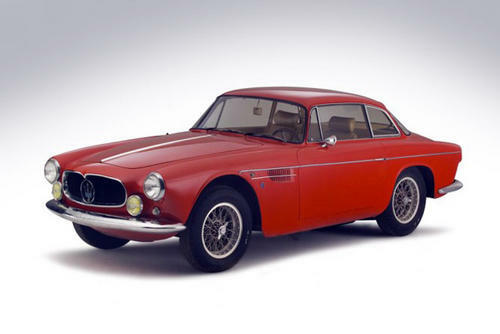 For Maserati it made 21 Maserati A6G 2000/54, prototype designs for Maserati 3500 GT (1957), and 22 Maserati 5000 GT (1959-1965), many of these designed by Michelotti. 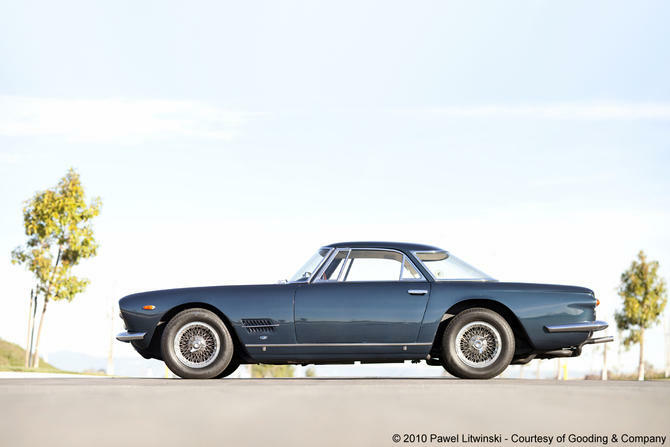 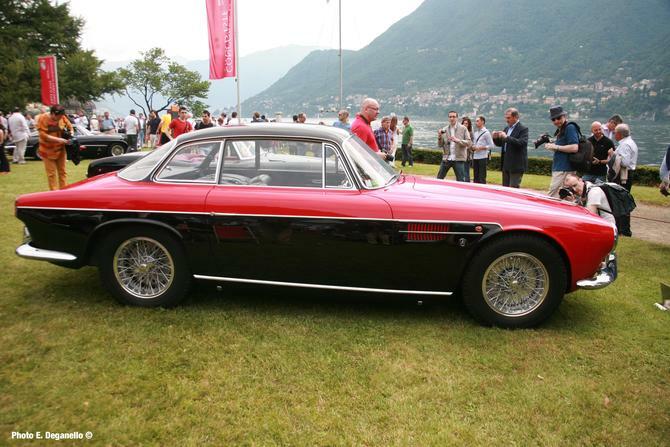 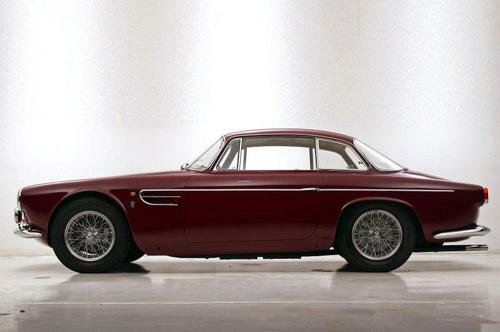 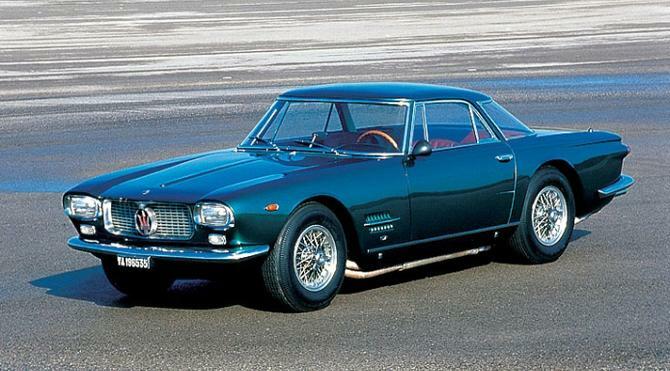 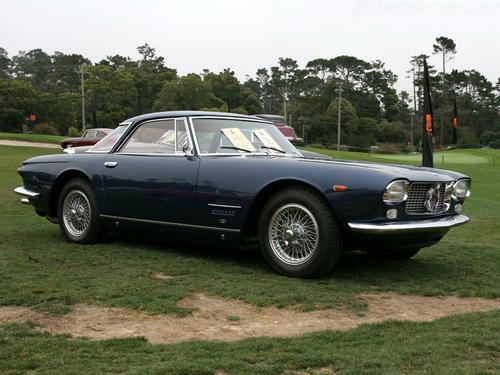 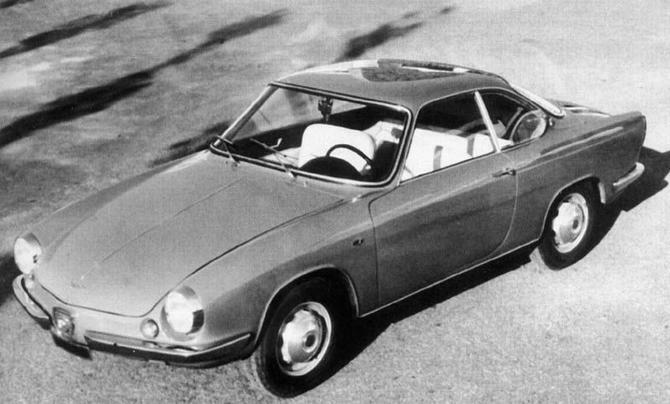 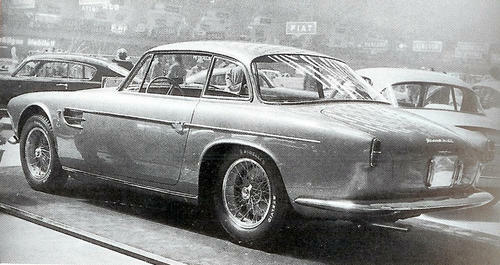 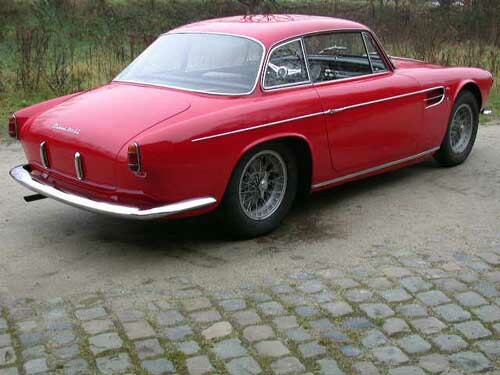 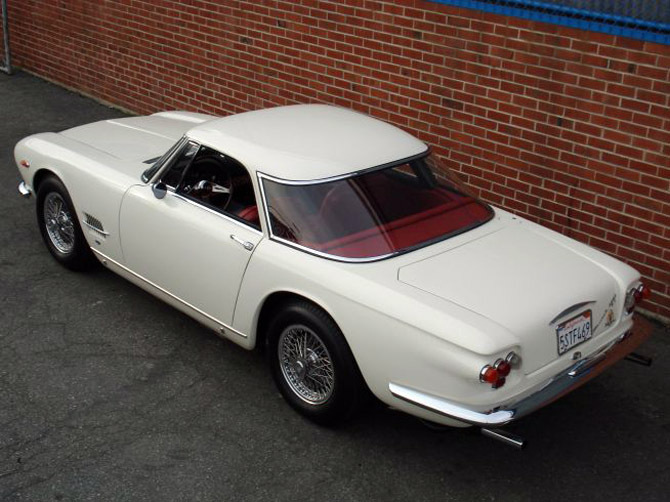 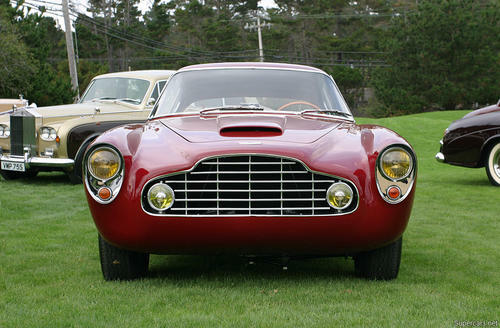 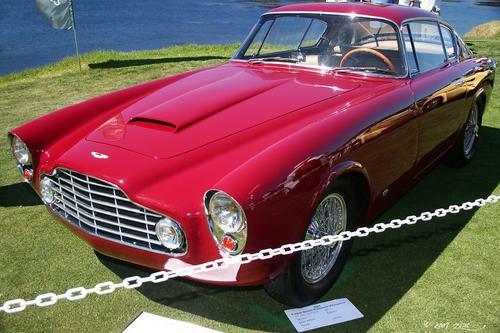 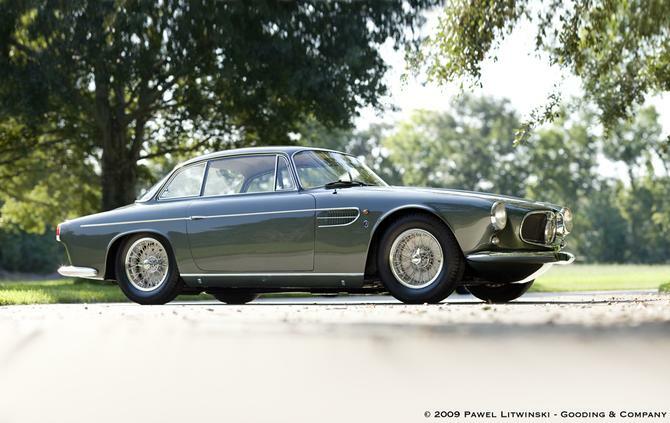 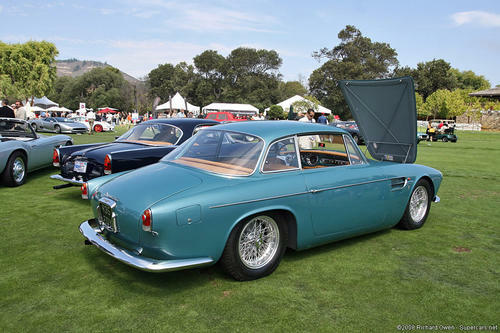 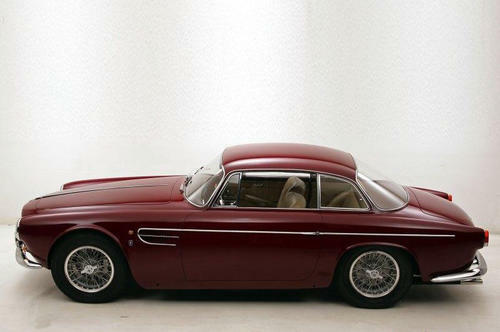 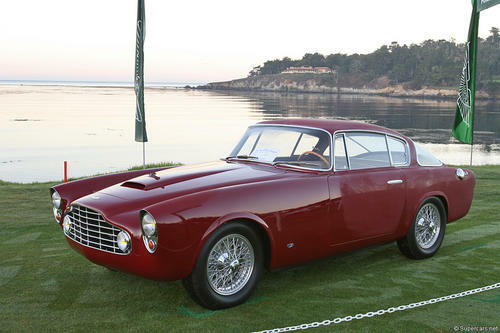 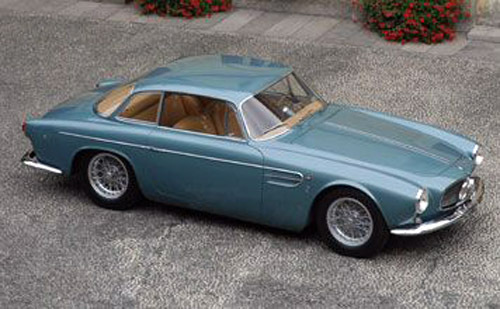 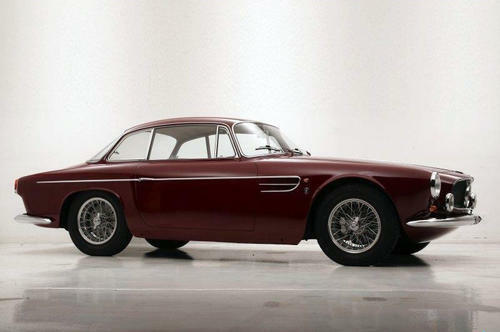 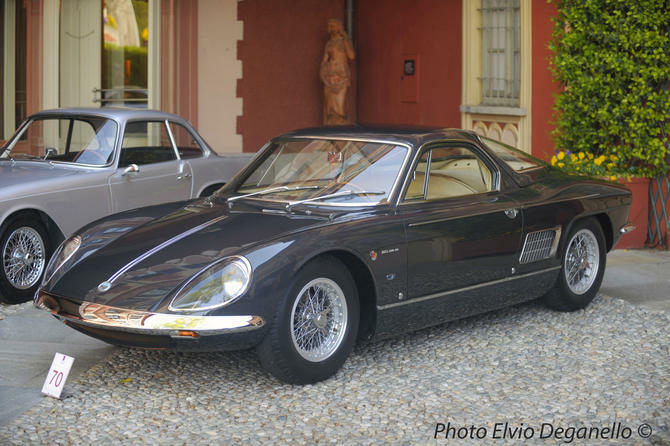 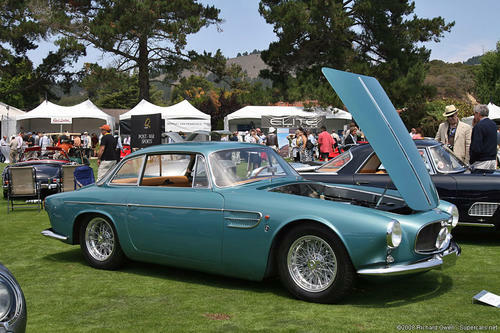 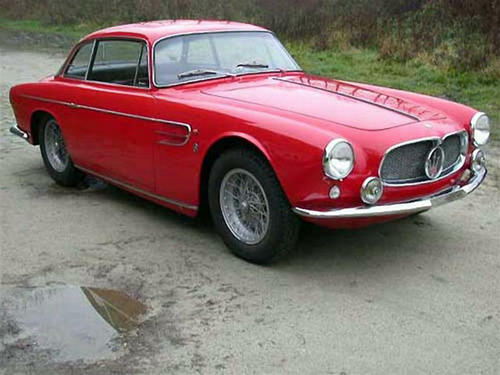 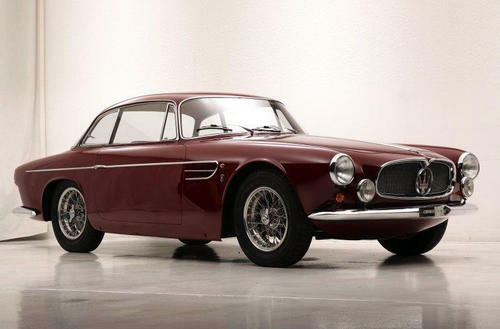 For ATS it built ATS 2500 GT (1963) designed by Franco Scaglione. 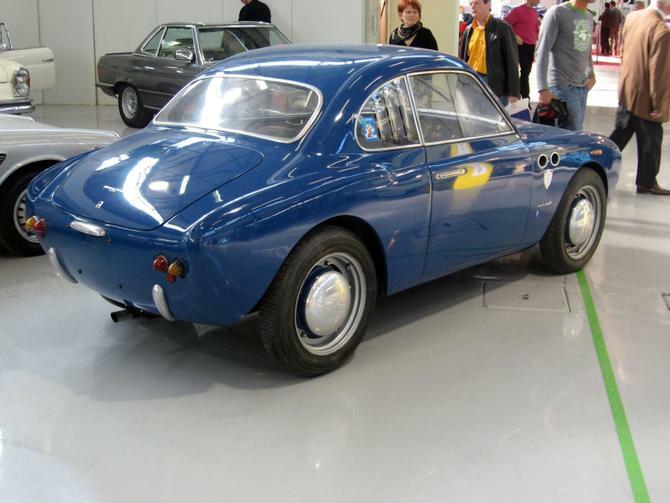 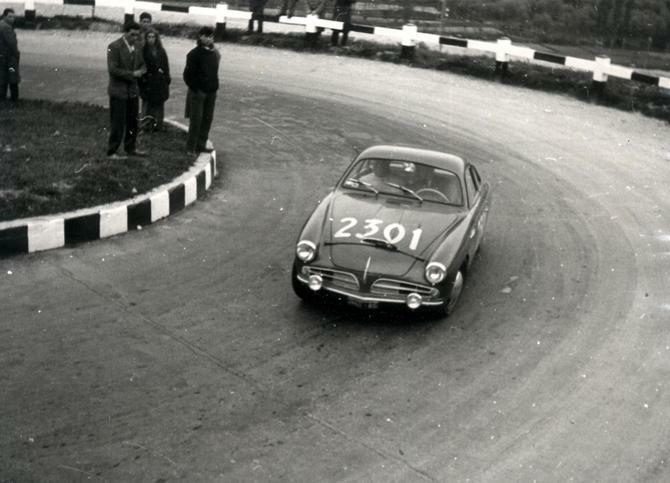 There was also a Jaguar XK140, an Aston Martin DB2/4 (1953) a Panhard Dyna, as well as Renault Dauphine specials. 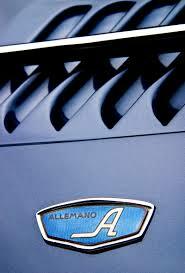 Revival The Allemano name was revived in early 2014 with plans to launch a range of modified cars and motorcycles with custom bodywork and tuned mechanicals. 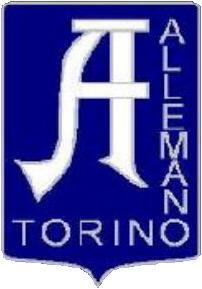 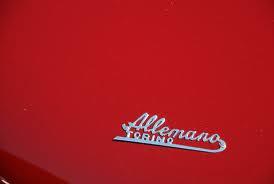 Carrozzeria Allemano was an automobile coachbuilder in Turin, Italy, founded in 1928 by Serafino Allemano. 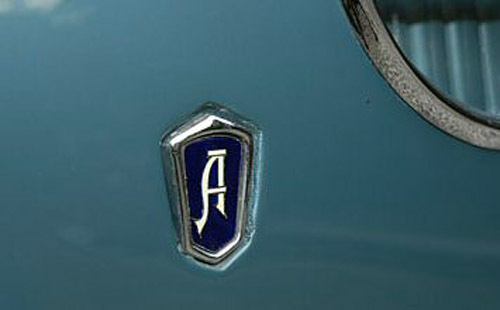 Allemano made various cars based on their own designs, and in some cases, externally made designs, such as those by Michelotti. 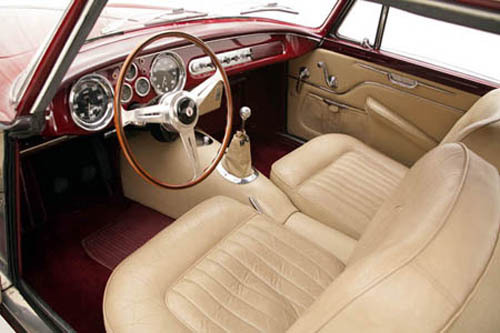 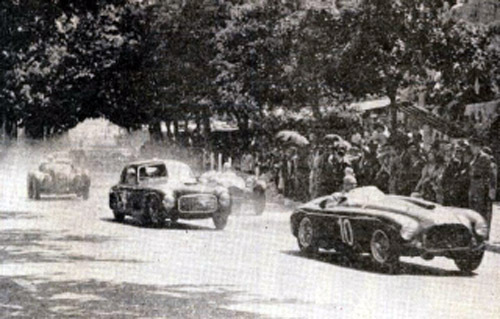 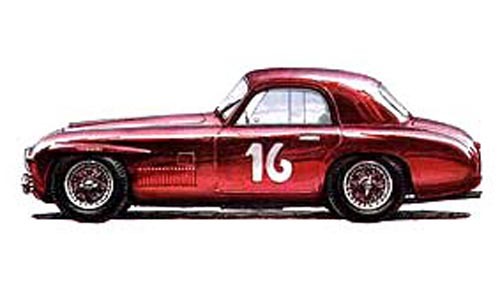 Some of the earlier cars were Ferrari 166S, Alfa Romeo 2500 and Lancia Aurelia. 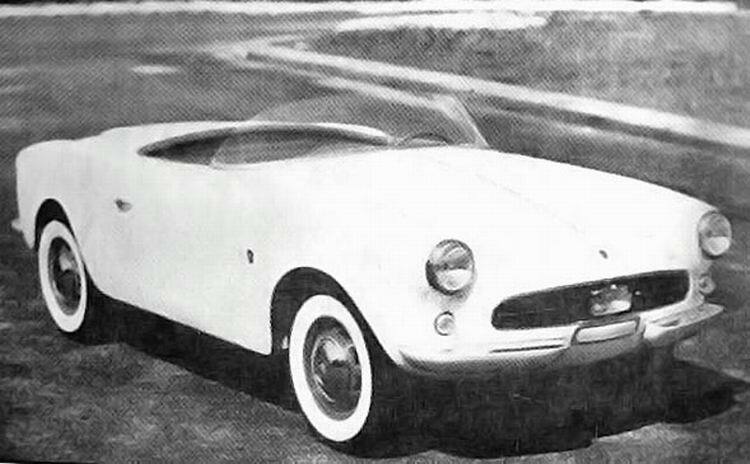 For Fiat Allemano created three Fiats 1100 TV, some Fiats 600, 850 and 2200 and a few Abarths 750. 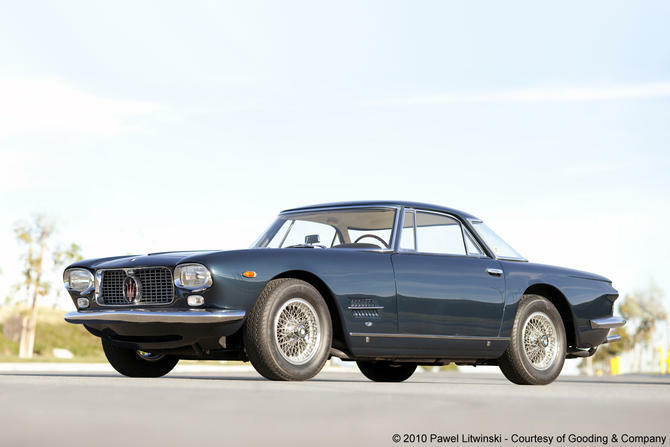 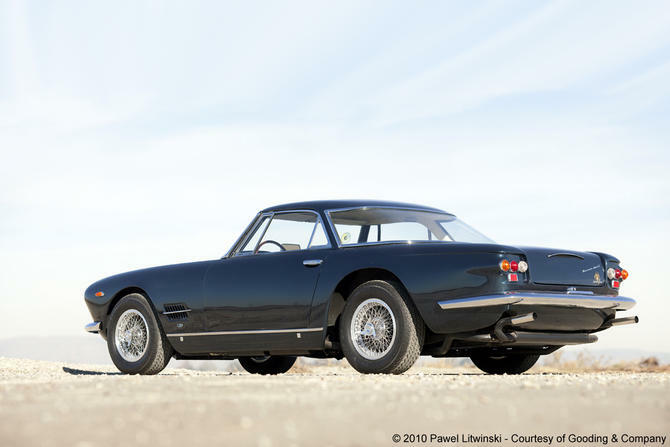 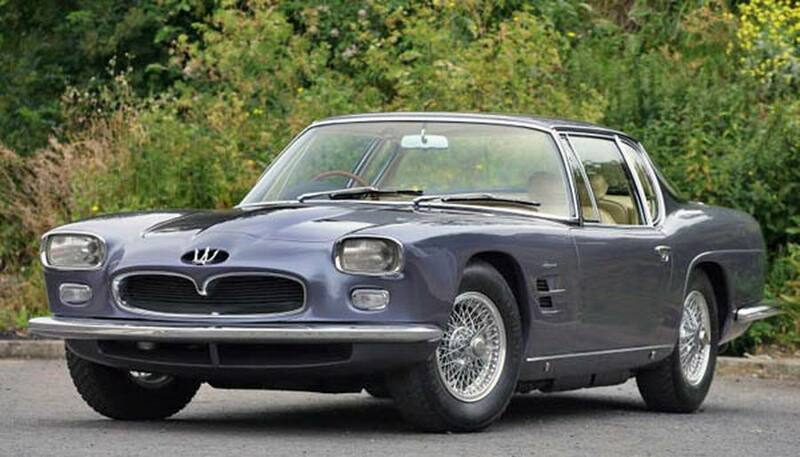 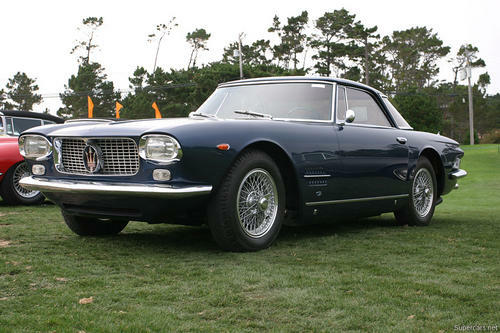 For Maserati it made 21 Maseratis A6G 2000/54, prototype designs for Maserati 3500 (1957), and 22 Maseratis 5000 GT (1959-1965), many of these designed by Michelotti. 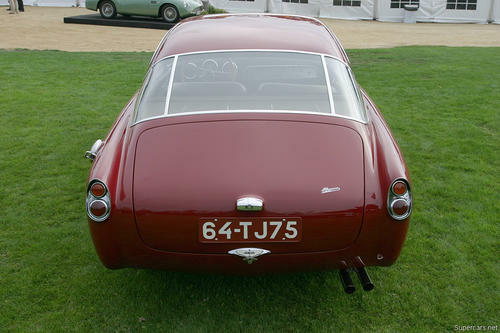 There was also a Jaguar XK140, an Aston Martin DB2/4 (1953) a Panhard Dyna, as well as Renault Dauphine specials. 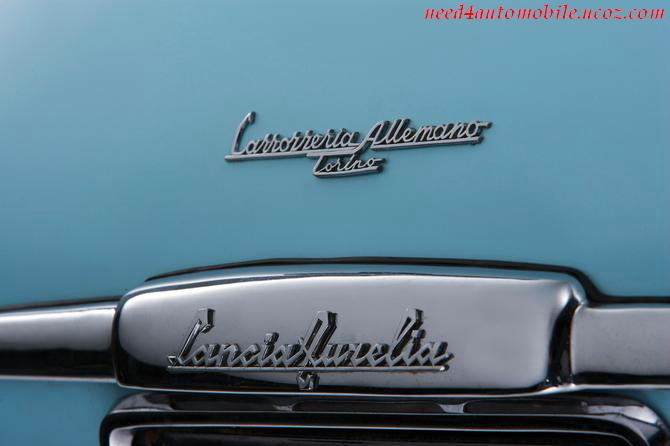 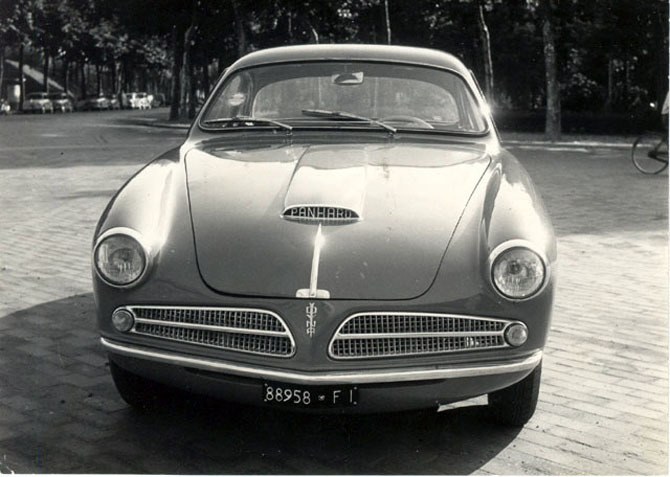 Carrozzeria Allemano ceased to exist in 1965. 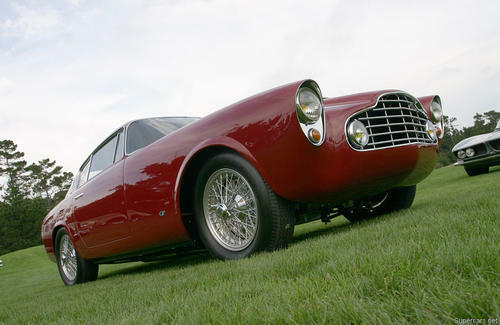 The 166 was the culmination of Ferrari’s early racing and development. 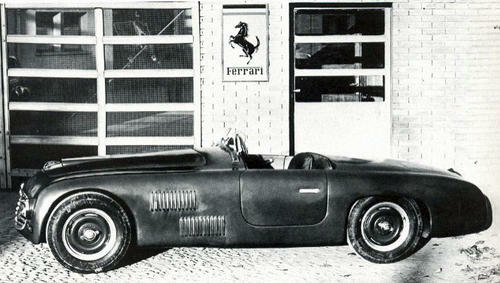 It achieved unprecedented competition successes that formed the foundation of the Ferrari legend. 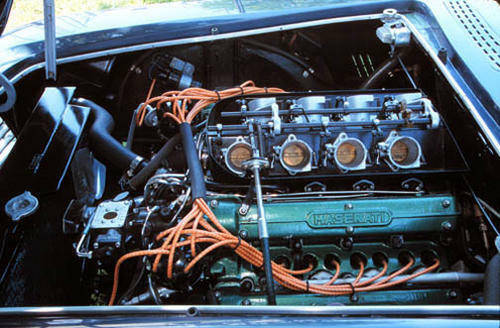 The original 1 1/2 liter Ferrari 125 V12 was successful but postwar racing regulations soon adopted a two liter limit for Formula 2. 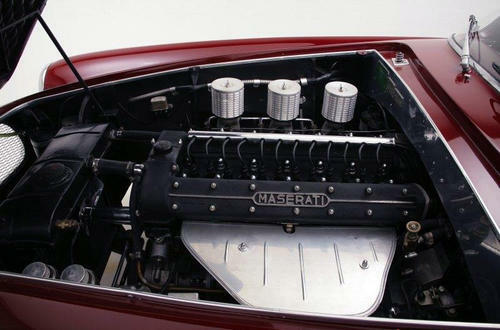 Ferrari increased the 125’s 55×52.5mm bore and stroke to 60mm bore and 58.8mm stroke, bringing the Ferrari V12 to nearly the optimum two-liter displacement: 166.25 cc per cylinder, 1,995 cc in all. 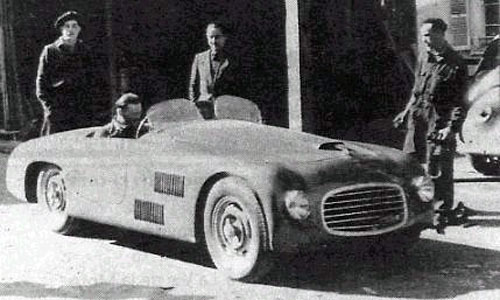 First produced for Scuderia Ferrari with cycle fendered Spider Corsa bodies adaptable to both Formula 2 and sports car competition, Ferrari also built two long wheelbase (2620mm) 166 Sports, one of which was this Spyder by Allemano. 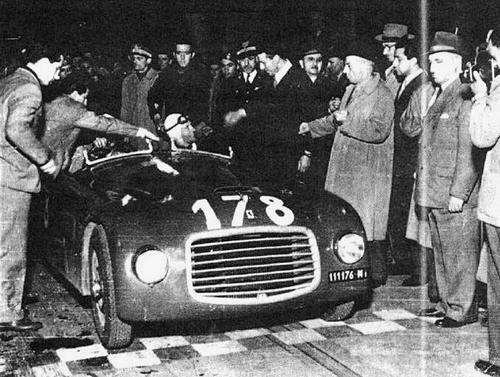 In november 1947, Count Bruno Sterzi became the first private owner of a Ferrari: the Allemano bodied 166 Spyder Corsa #001S. 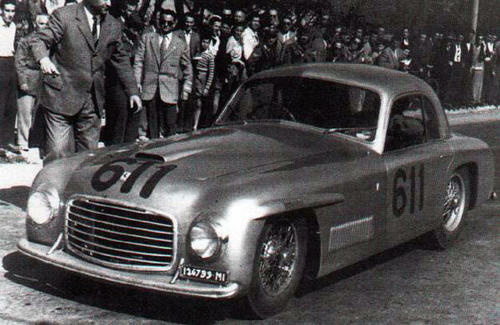 This car was raced by equipes Clemente Biondetti / Igor Troubetskoy and Bruno Sterzi / Nando Righetti. 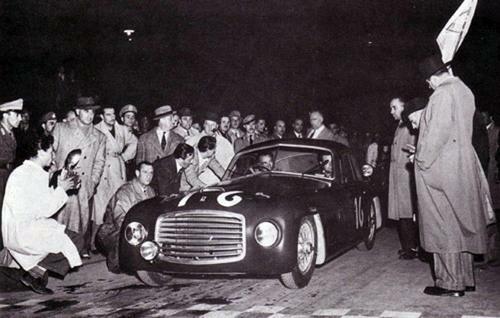 In 1950 it was sold to Baron Stefano La Motta, Sicily and was also raced by equipe Stefano La Motta / Gino Alterio. 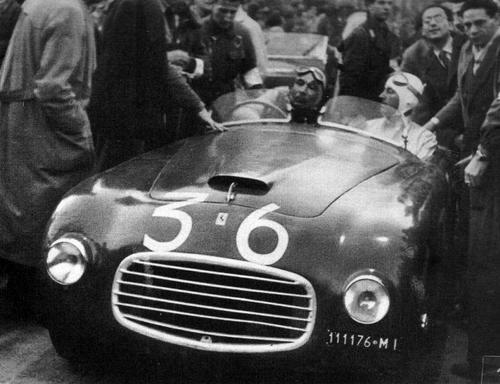 In 1951 Baron Stefano La Motta was killed. 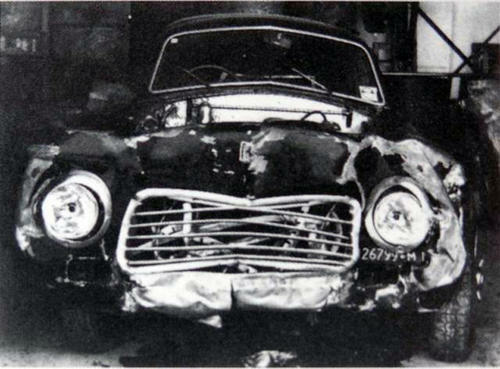 After the crash the car was destroyed and scrapped. 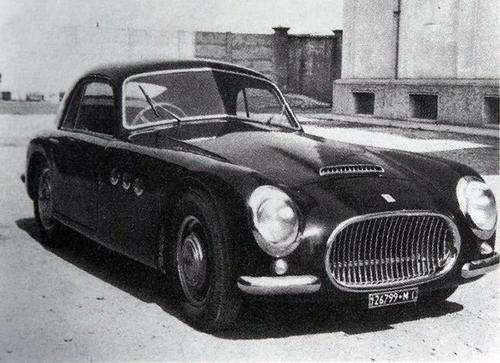 This 166S Berlinetta by Allemano was first registered to the Scuderia Ferrari in 1948. 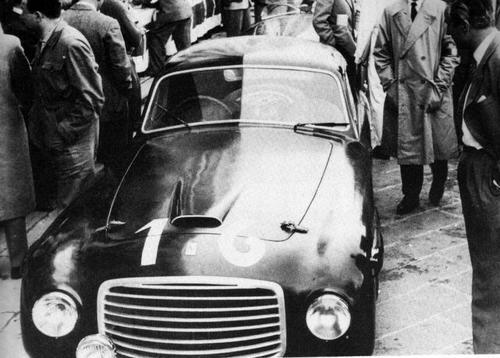 It has been raced by great names like Clemente Biondetti, Giuseppe Navone, Giampiero Bianchetti, Giulio Sala and Luigi Musso. 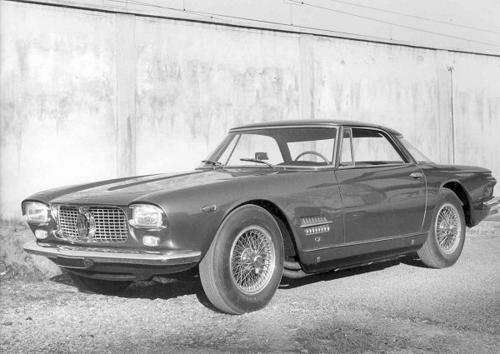 First produced for Scuderia Ferrari with cycle fendered Spider Corsa bodies adaptable to both Formula 2 and sports car competition, Ferrari also built two long wheelbase (2620mm) 166 Sports, one of which was this coupe by Allemano. 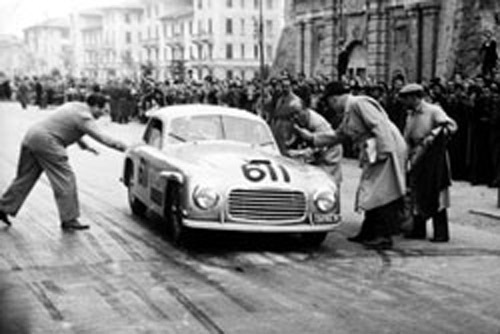 Clemente Biondetti and Giuseppe Navone drove the car to a stunning overall victory in the 1948 Mille Miglia. 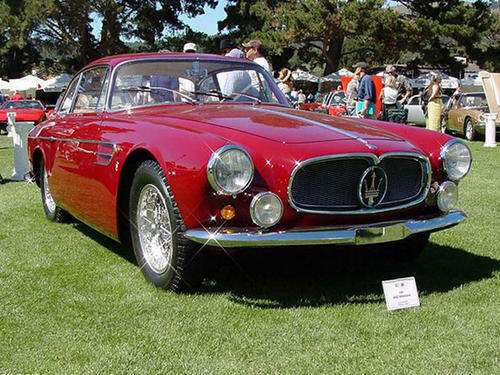 After a road accident the car was rebuilt by Carrozzeria Colli in Milan, receiving a newly styled front end, and was painted dark red. 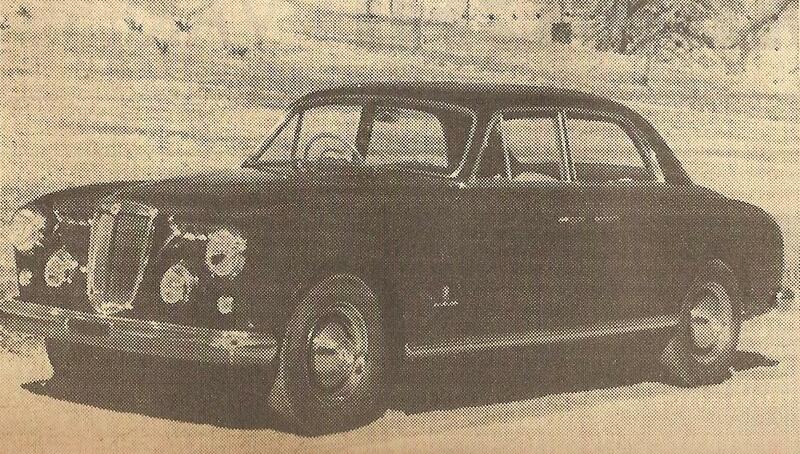 Later it was crashed again and was scrapped. 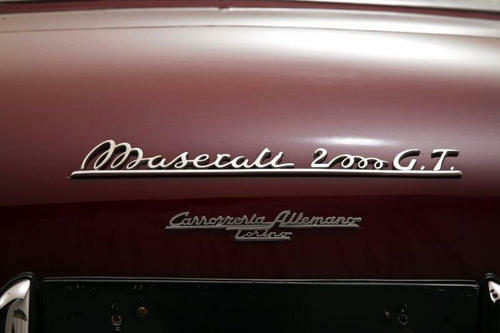 The engine and gearbox went to chassis #0205EL. 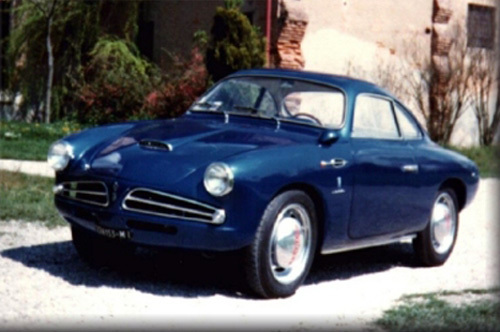 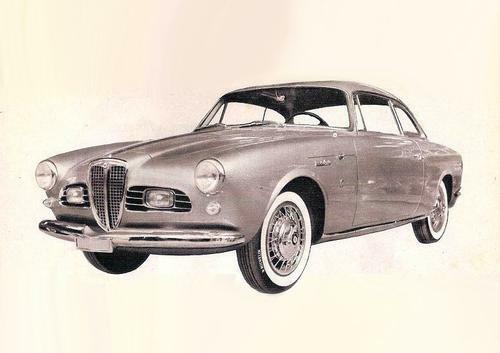 The Allemano Coupe in these pictures was designed by Aldo Bianchi. 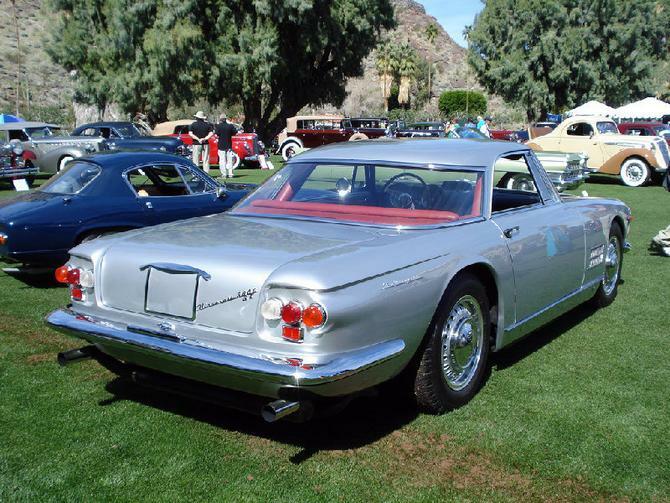 The car was built in a number of four for the Panhard importer Crepaldi of Milan, Italy. 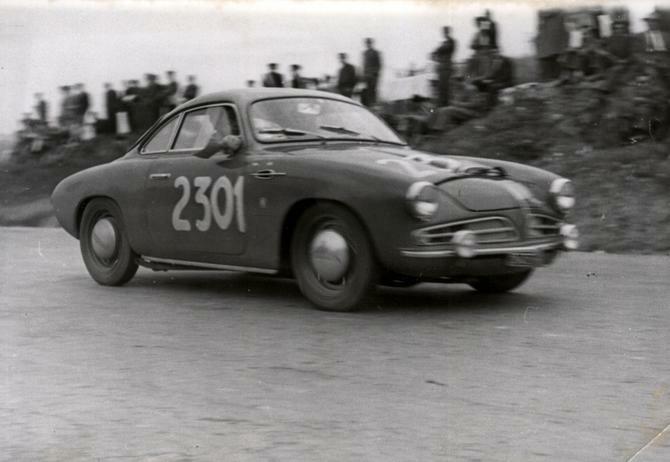 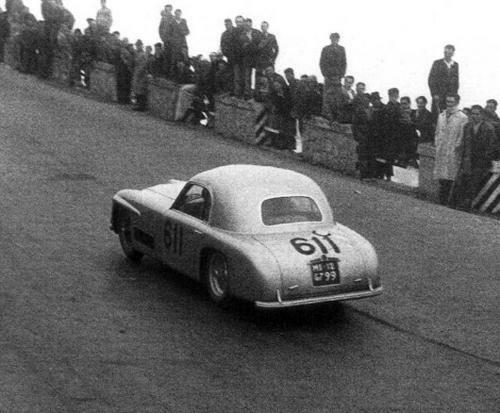 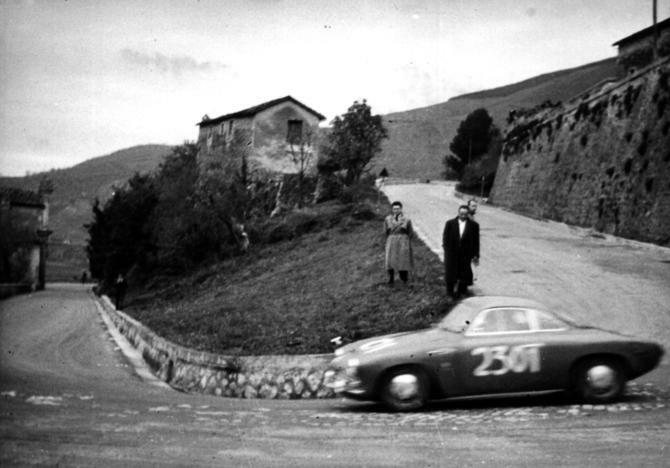 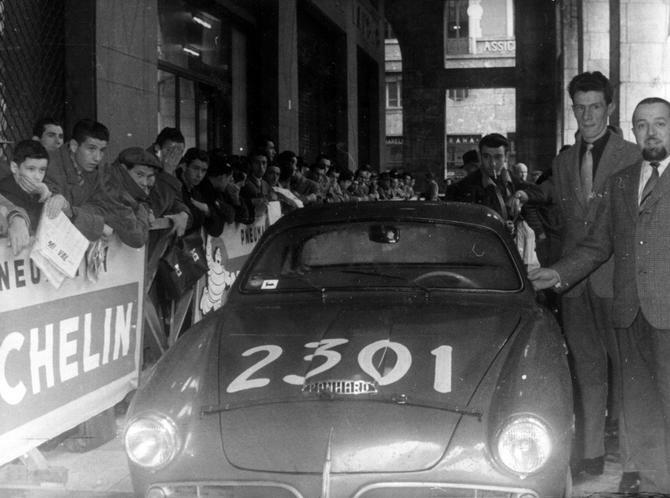 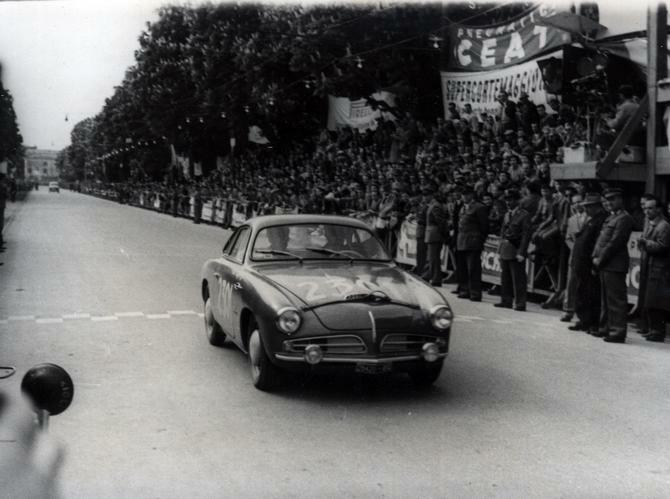 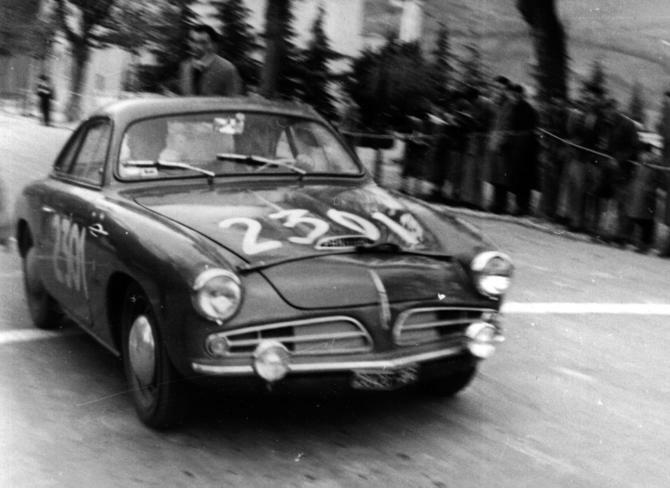 Crepaldi’s racing team raced under the name “Scuderia ITAL-FRANCE” and with the equipe Guidetti/Ubezio the Allemano Panhard finished 171th (out of over 300 participants) in the 1953 Mille Miglia. 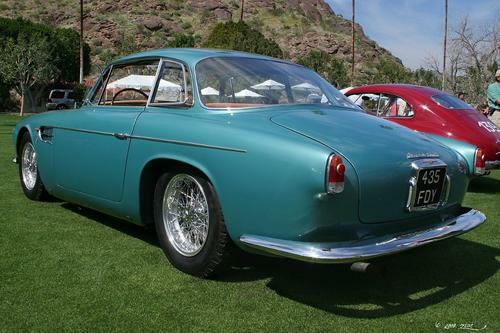 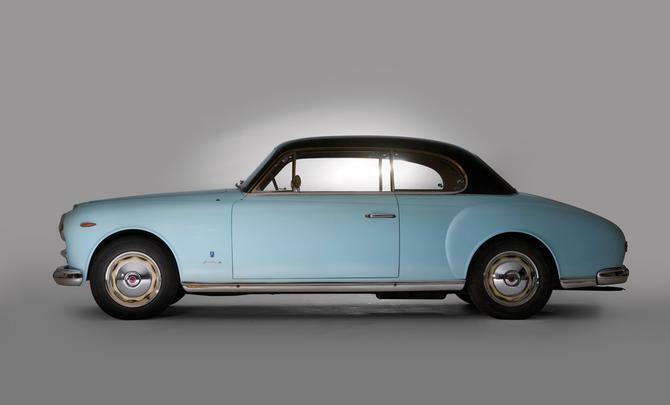 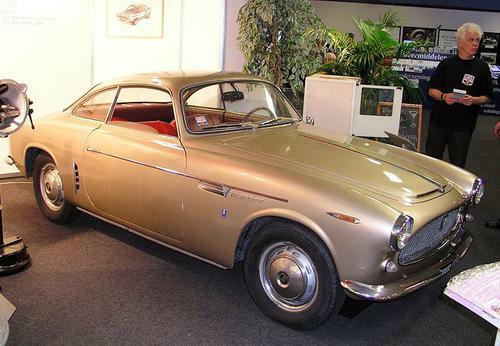 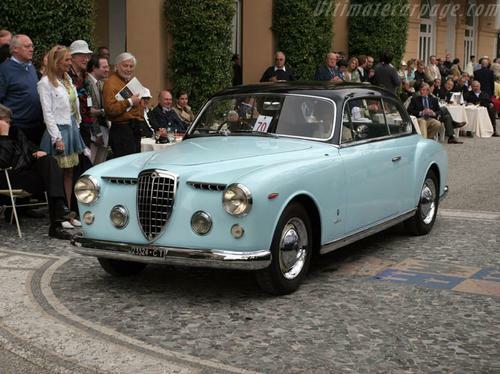 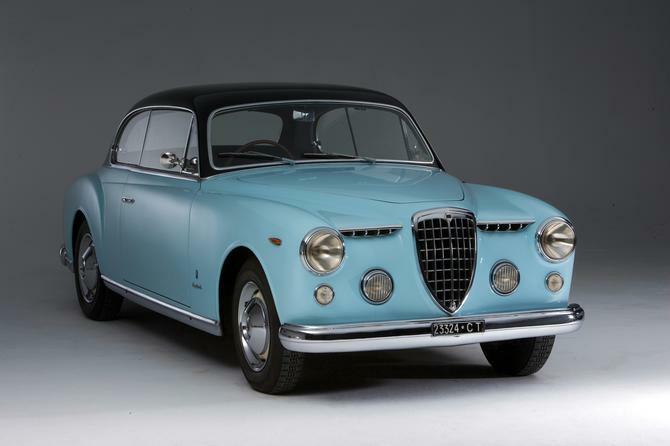 This one-off Lancia Aurelia B53 Coupe was a display car created for the 1953 Torino Motor Show. 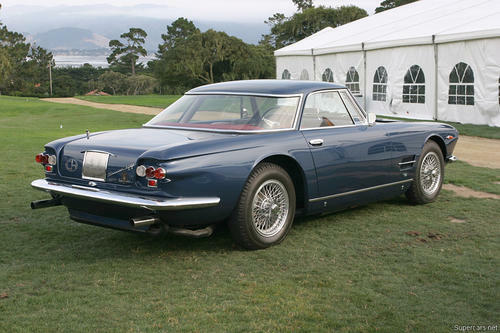 The body was designed by Giovanni Michelotti, who worked for a number of design houses in addition to Allemano, most notably Vignale. 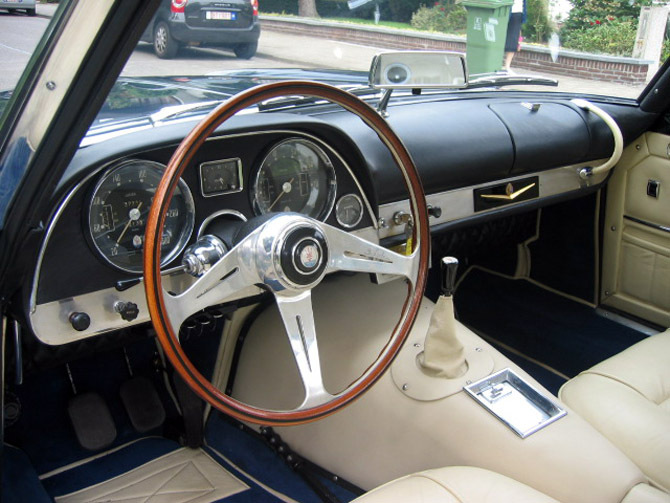 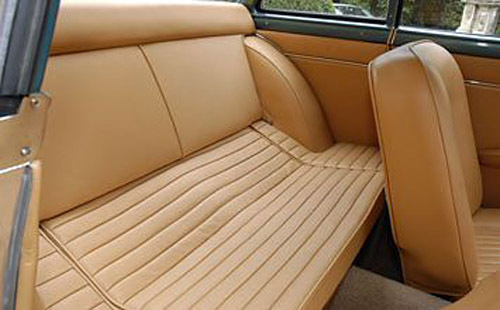 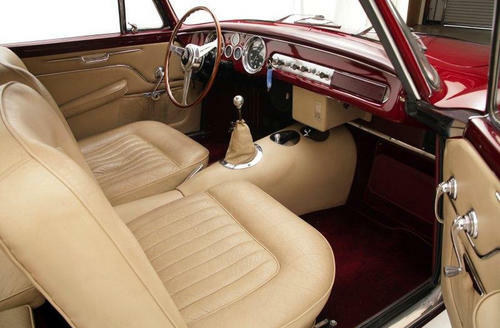 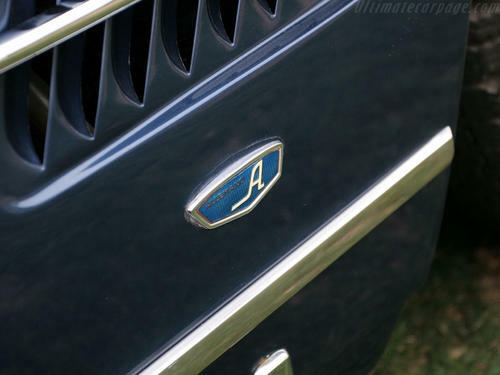 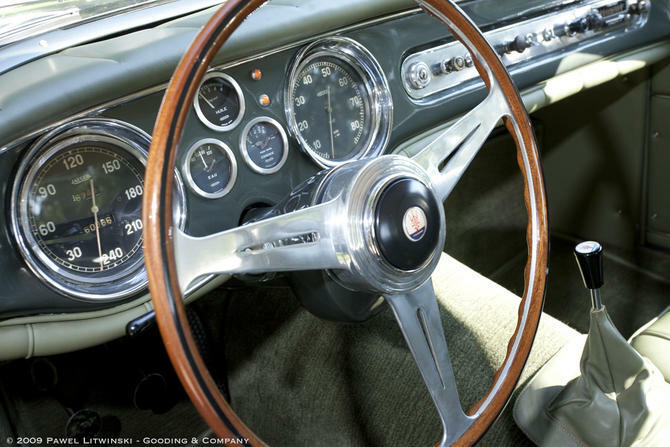 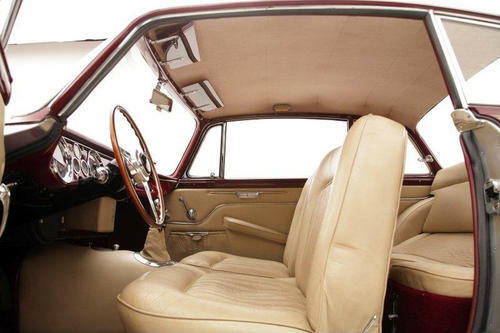 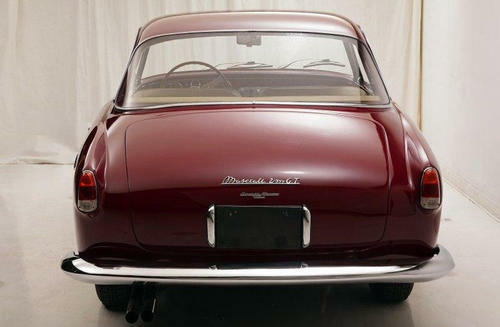 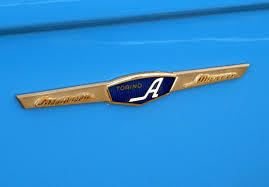 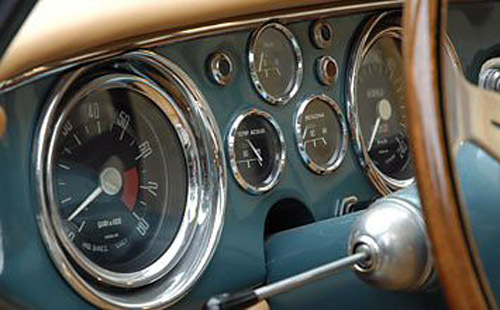 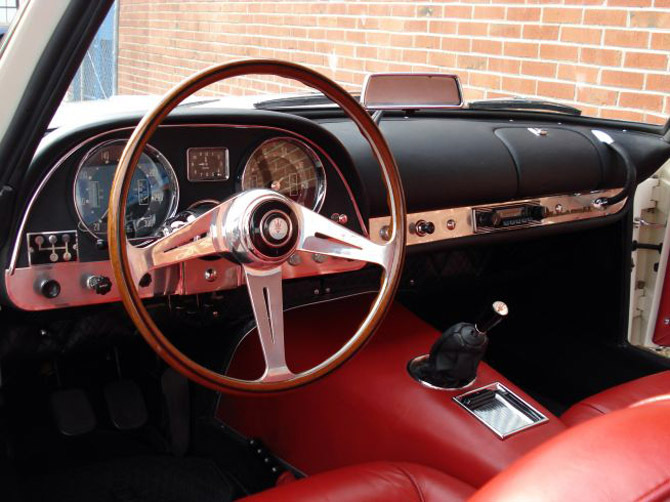 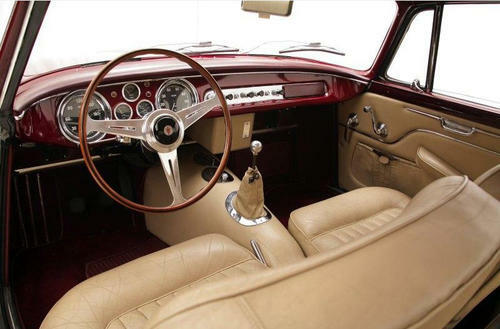 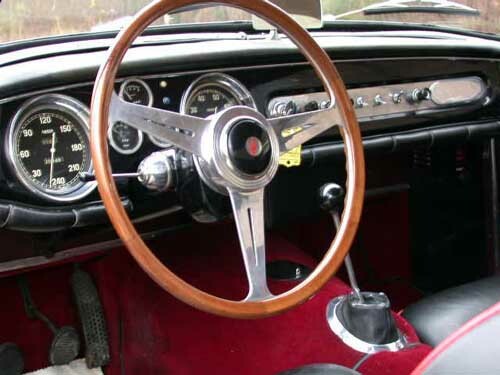 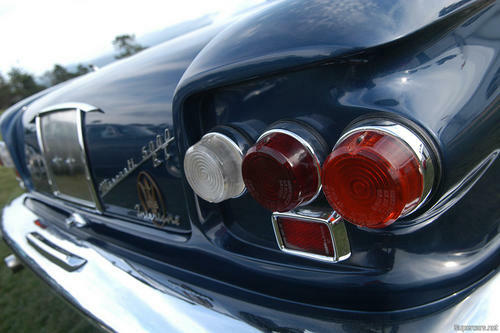 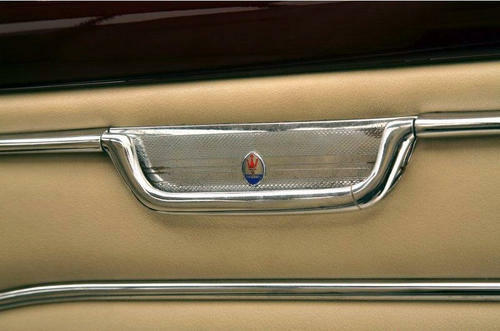 Michelotti’s design was brought to life by the panel beaters and craftsmen of Carrozzeria Allemano in Turin. 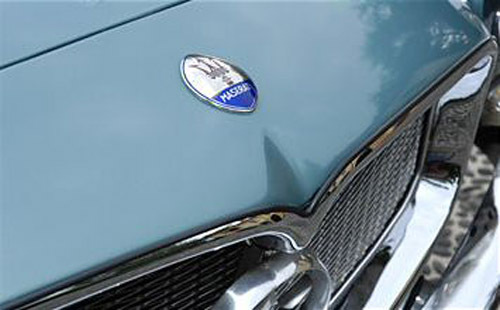 The body is mostly made out of steel, but the bonnet and doors are made of aluminium for weight saving. 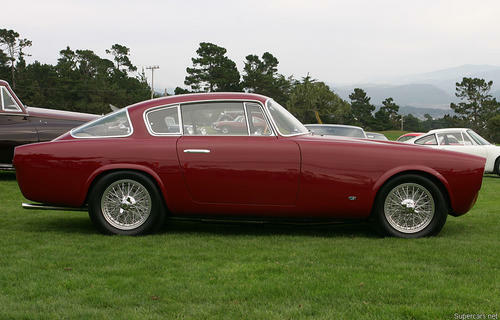 This Allemano bodied is a unique example with coachwork designed by Giovanni Savonuzzi. 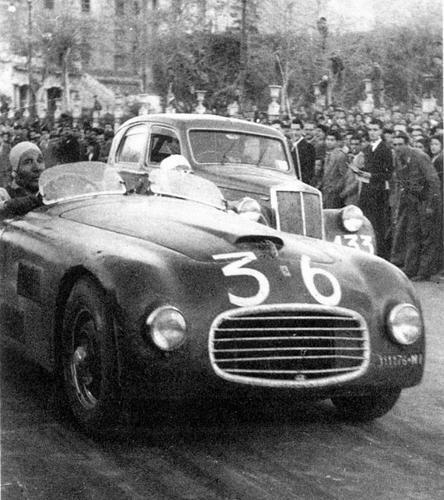 The rolling chassis was ordered by a close friend of David Brown, Mr. J. O’Hana of Casablanca, who shipped the car to Allemano Serafino of Torino. 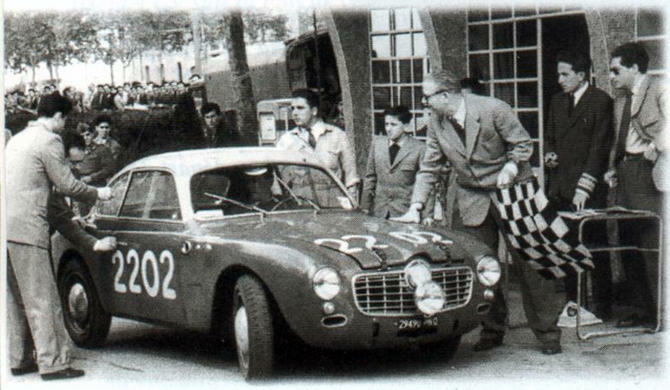 With a new Berlinetta body and an engine with DB3 specifications, Mr. O’Hana enjoyed driving and racing the car in Casablanca. 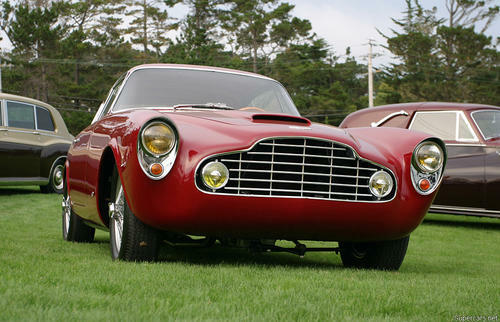 After a thorough restauration, the car won first prize in ‘Italian Coachwork Class’ at the 1994 Pebble Beach Concours. 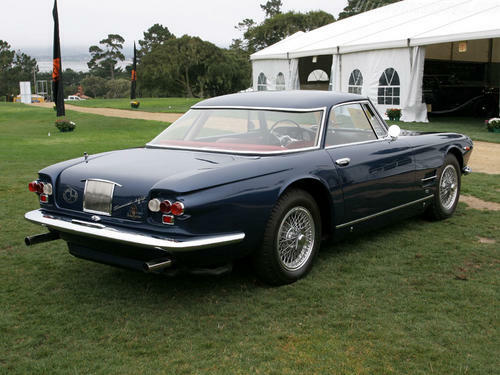 Aston Martin Historian, Roger Stowers said about this car “This car must be the best example of foreign coachwork on any Aston Martin”. 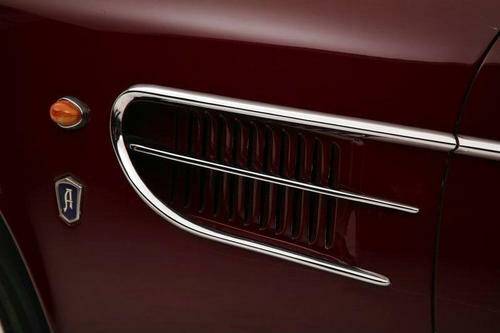 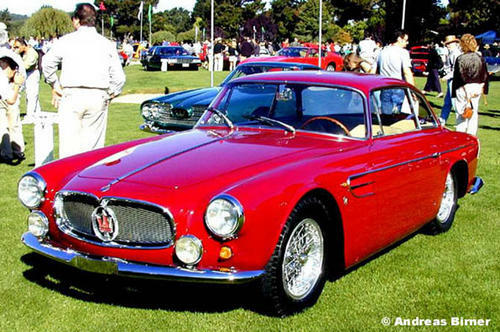 Maserati’s first true production car, the A6 series, was introduced to the public at the 1947 Geneva motor show. 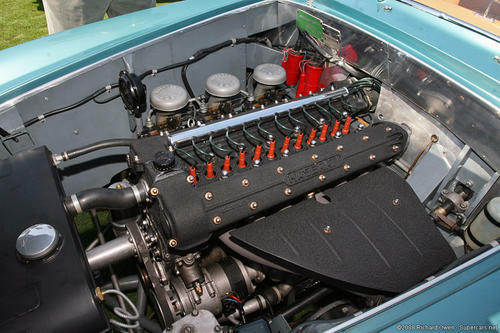 The 6CM engine was substantially redesigned and modernized. 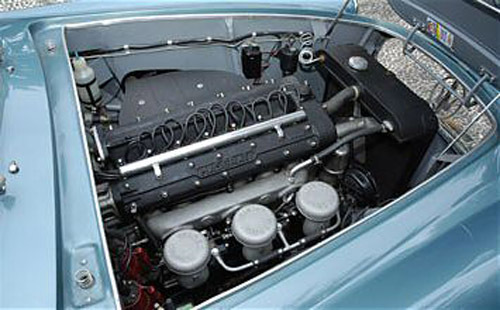 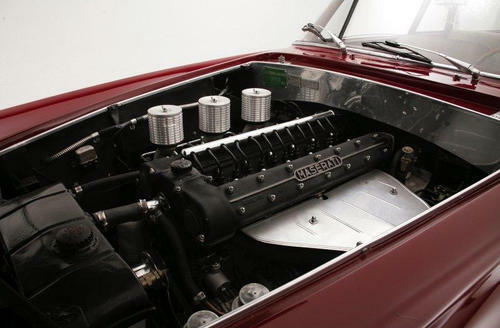 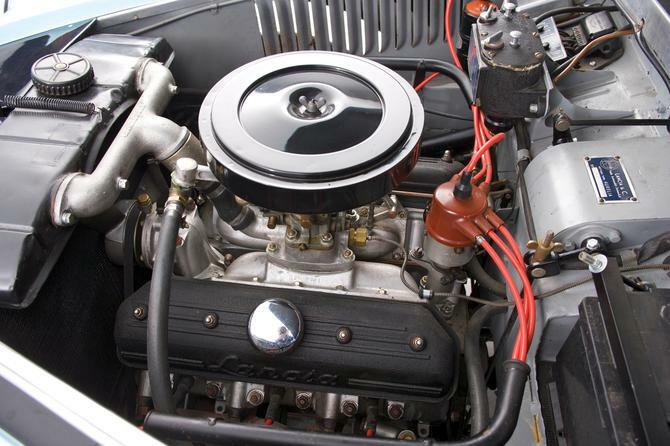 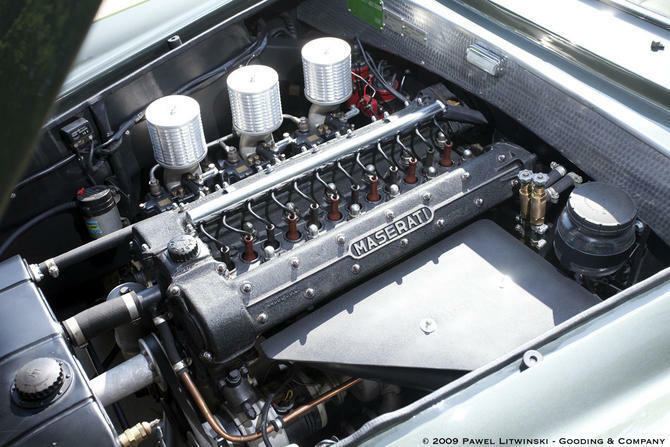 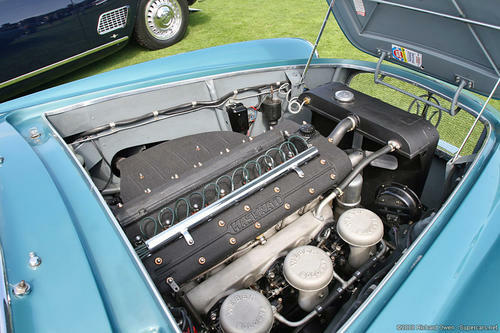 This engine was soon adapted for the road cars in 2-litre form as the A6G/2000 and A6G/54. 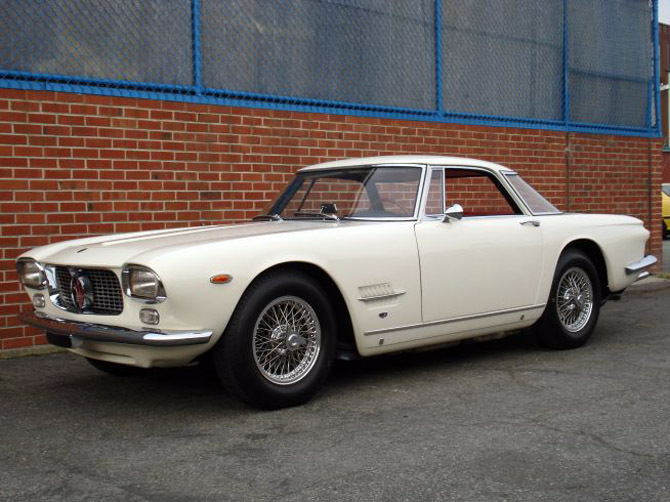 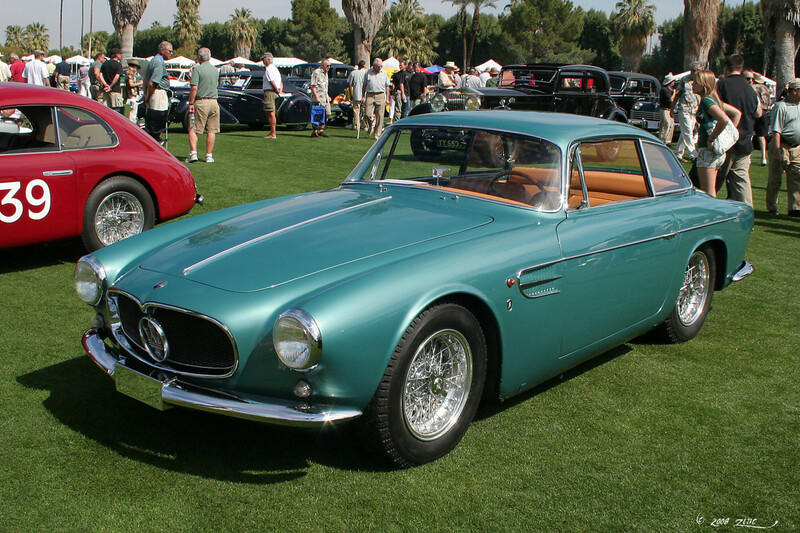 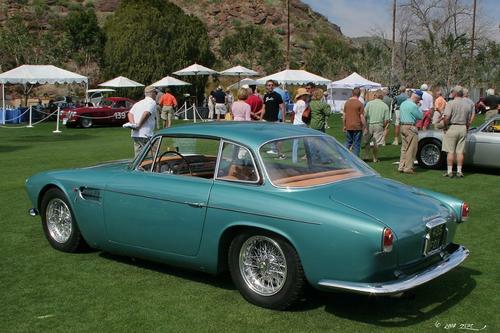 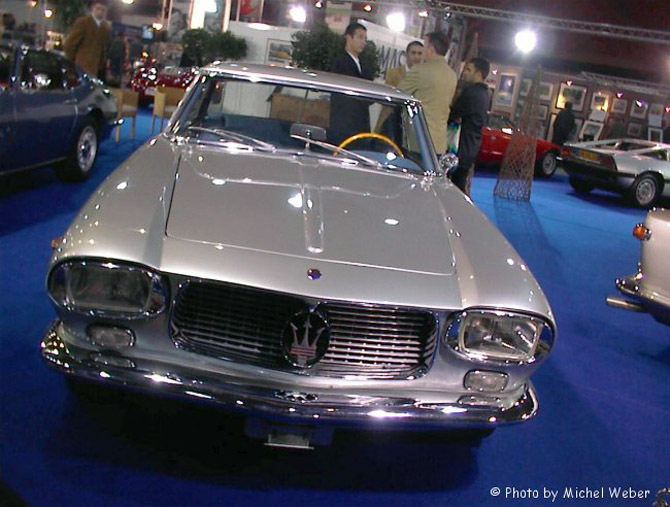 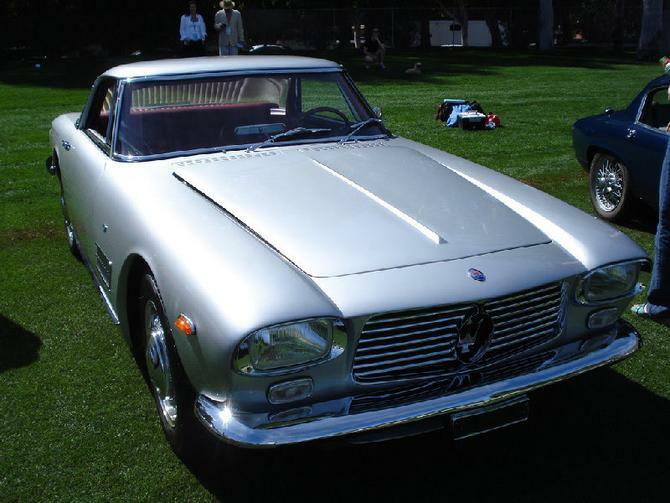 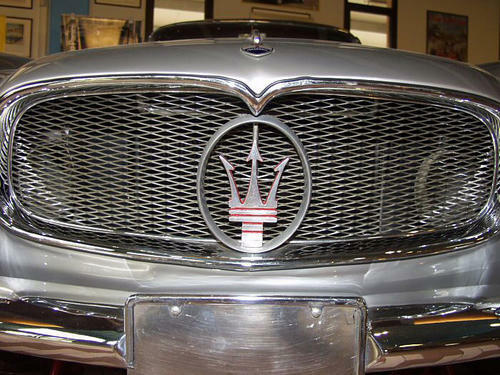 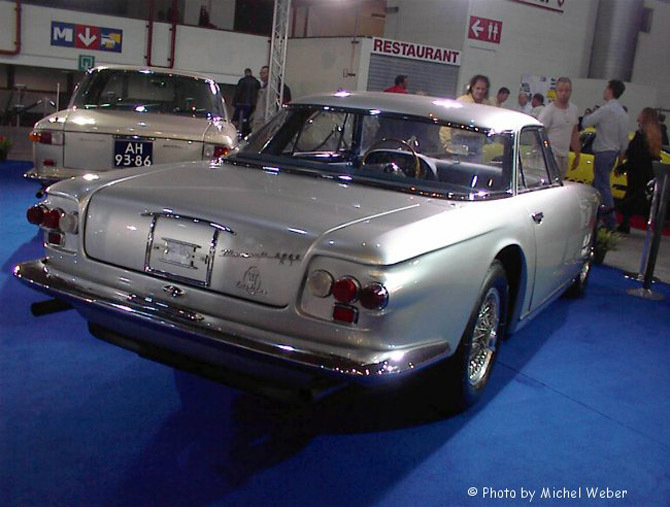 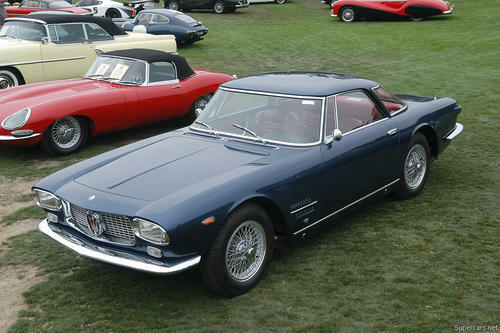 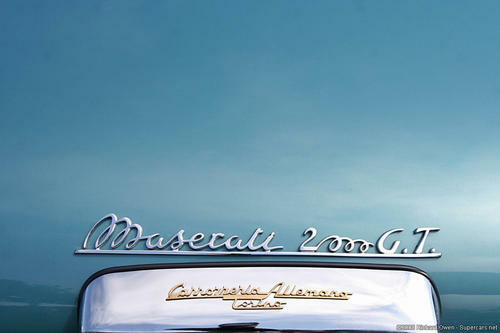 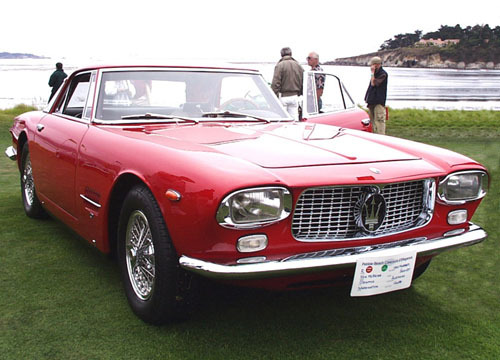 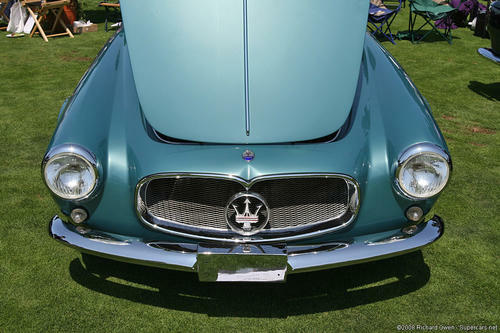 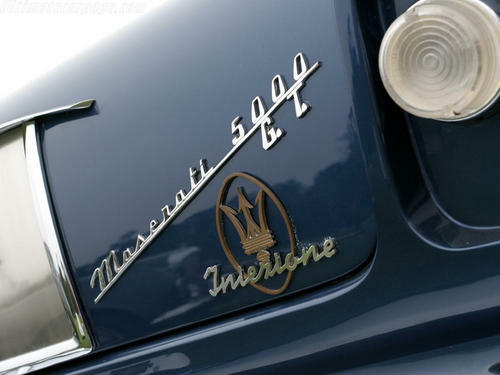 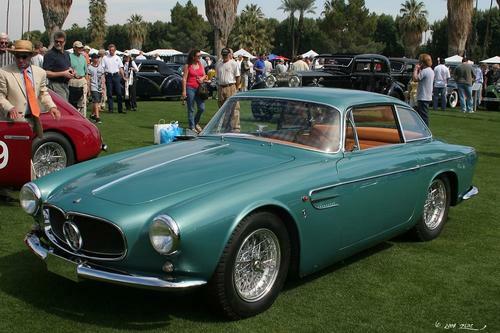 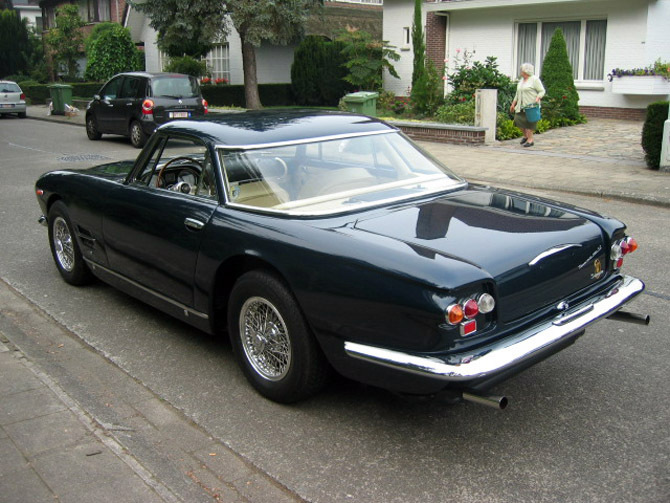 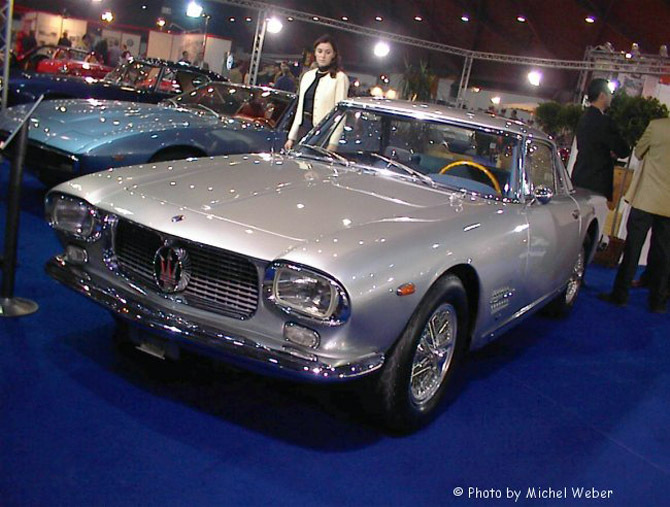 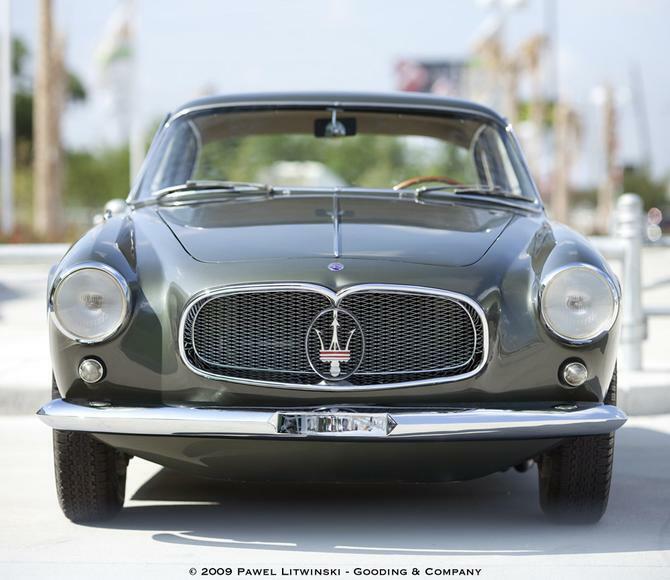 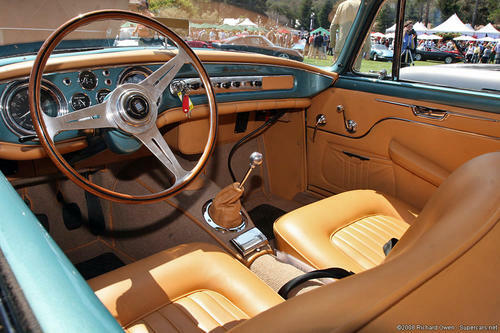 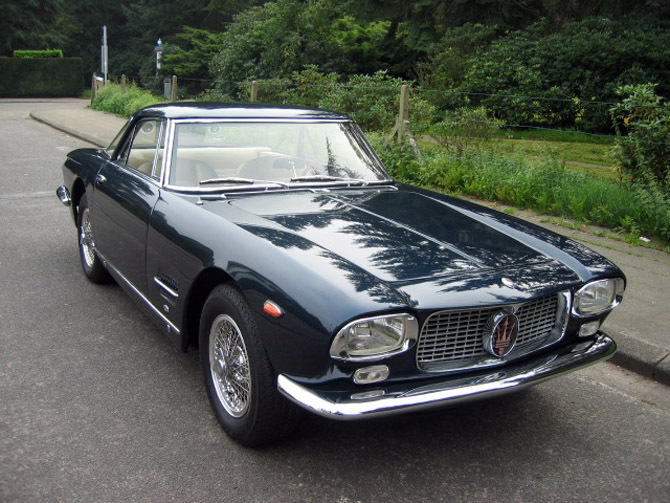 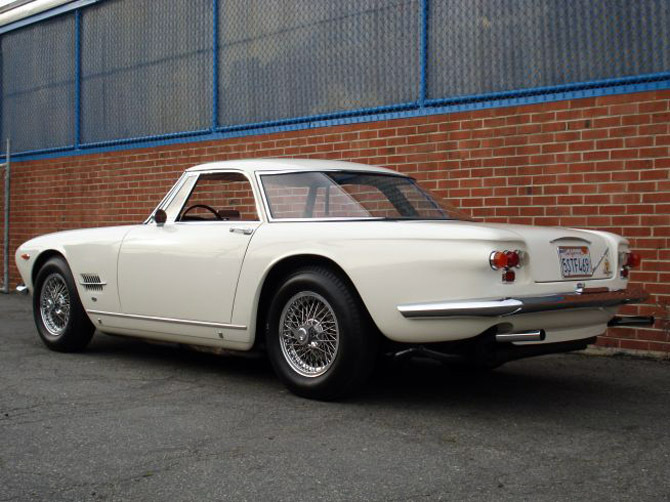 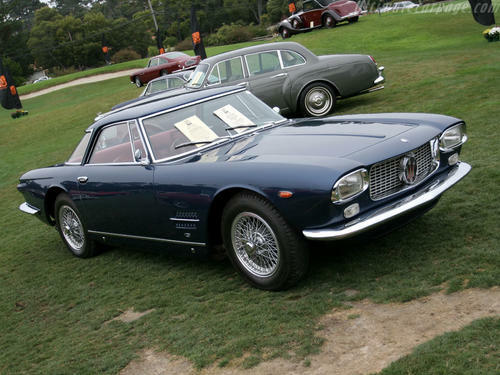 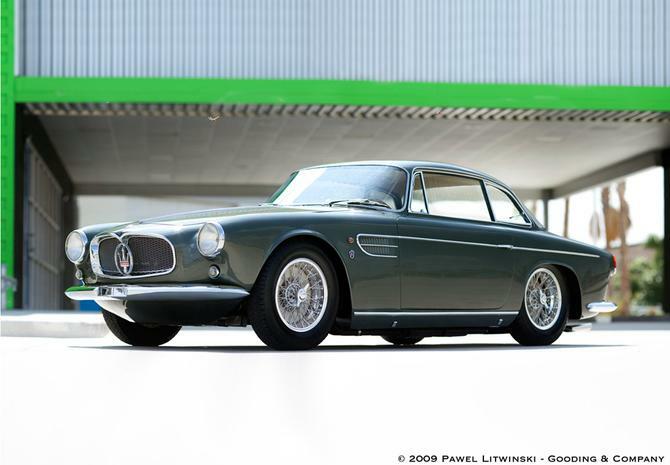 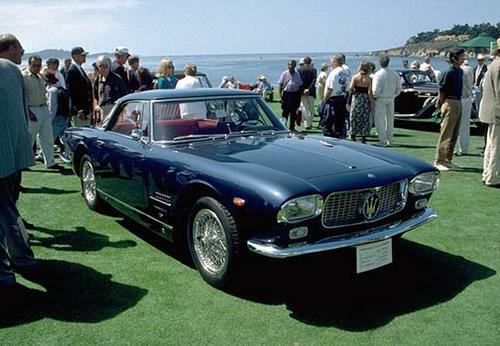 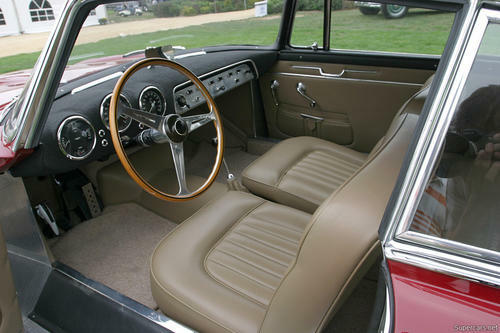 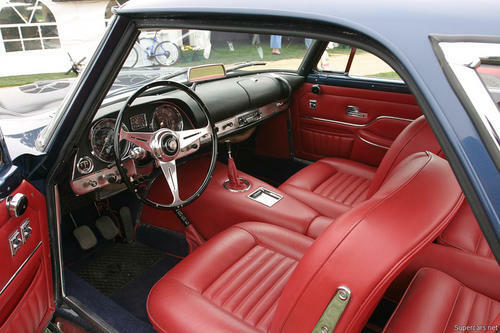 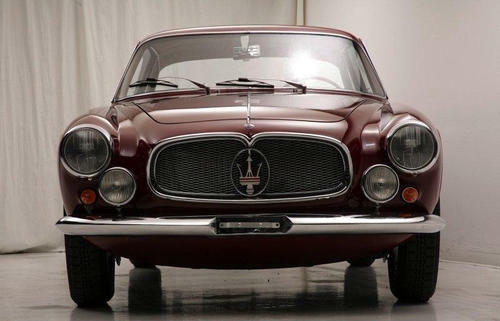 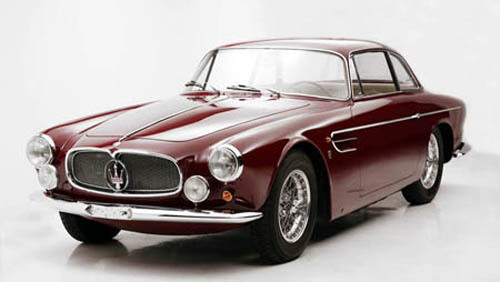 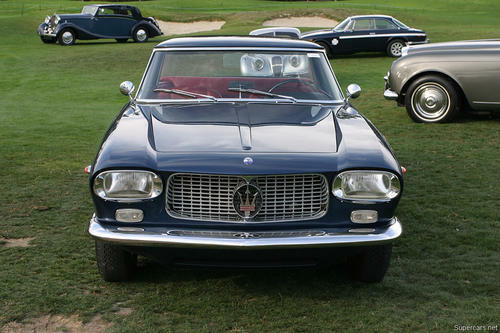 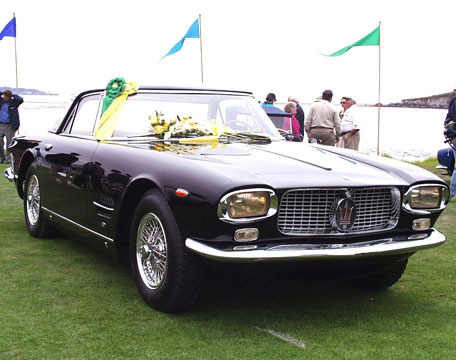 The A6G/2000 was also simply referred to as the Maserati 2000 GT. 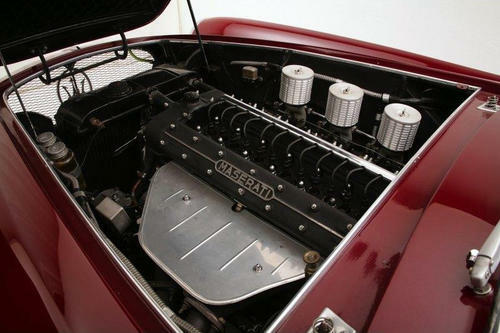 The 2000cc A6GCS inline-six engine was detuned by Vittorio Bellentani to provide a better power curve and a normal wet-sump lubrication system was fitted. 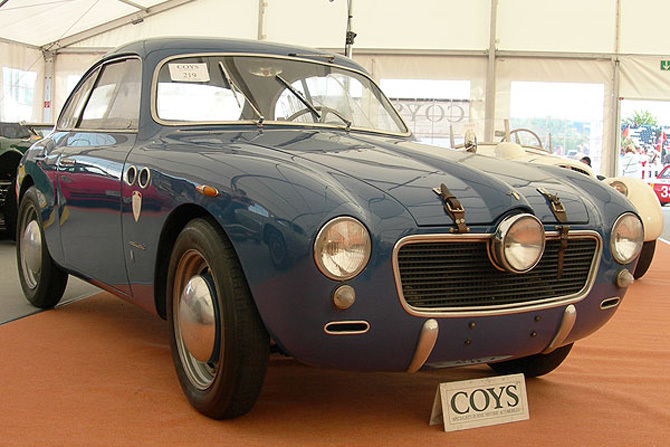 Bellantini’s task was to produce a reliable unit which could easily be modified for competition use, so a twin-spark cylinder head was offered as an option. 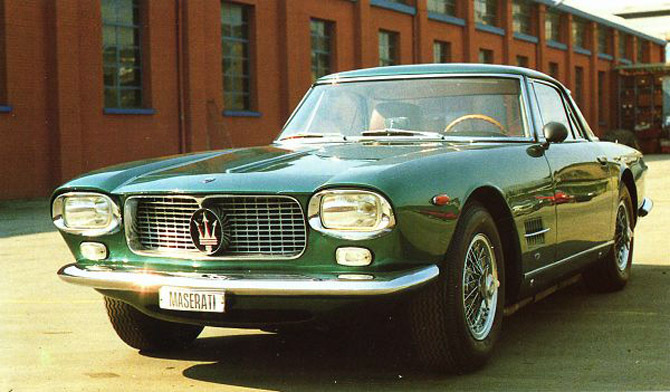 Maserati chose to outsource the bodywork. 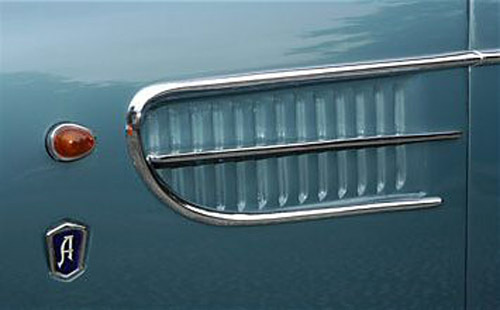 No two cars were alike and each reflected the first customer’s design preference. 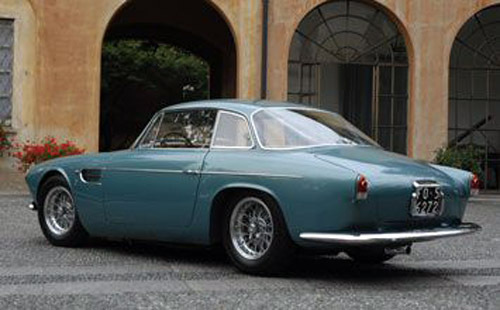 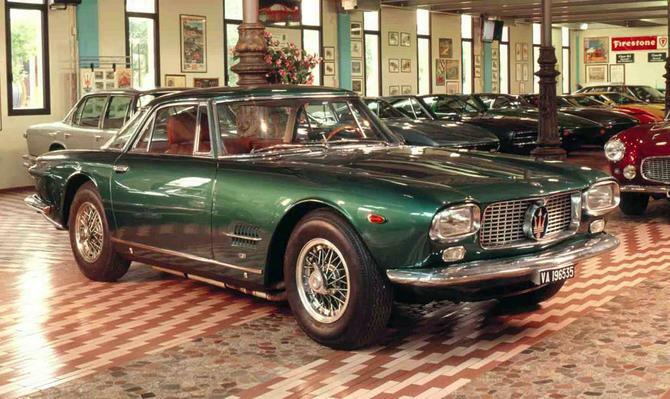 All the cars were sold as bare chassis to be fitted with bodies from Allemano, Frua, Zagato and Vignale. 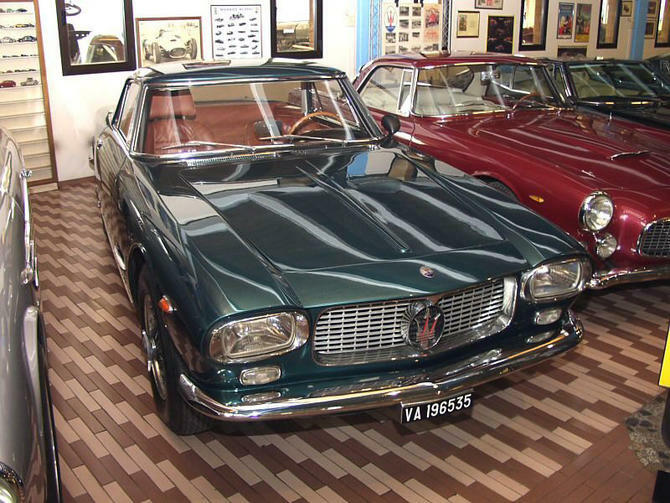 Both variants were offered simultaneously. 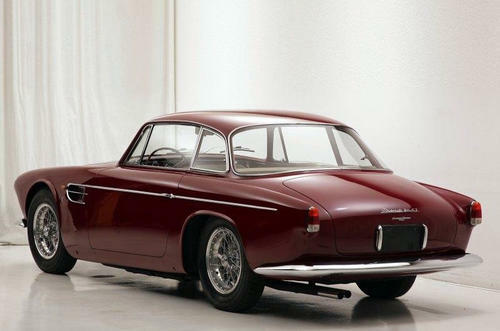 Produced from 1946 to 1957, only 139 A6s were ever built, 60 of which were A6G/2000 examples fitted with the twin-cam 2-litre engine. 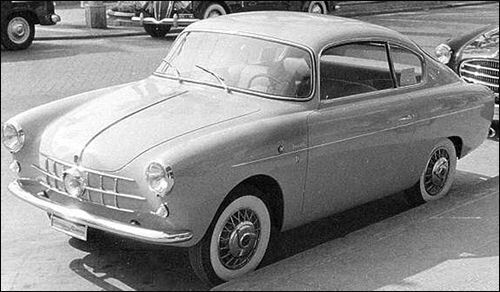 The car’s construction was rather simplistic, based upon a tube Gilco frame supported by independent front suspension with wishbones and coil springs and a rigid rear axle. 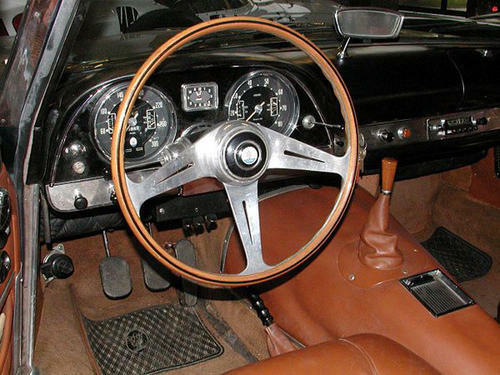 Large drum brakes were fitted at all four corners. 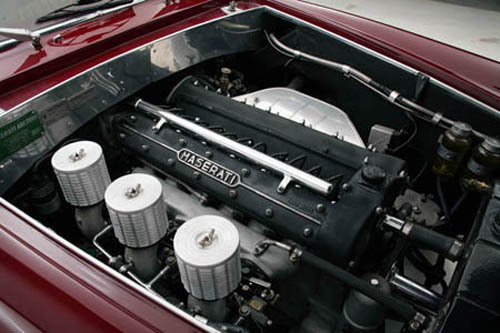 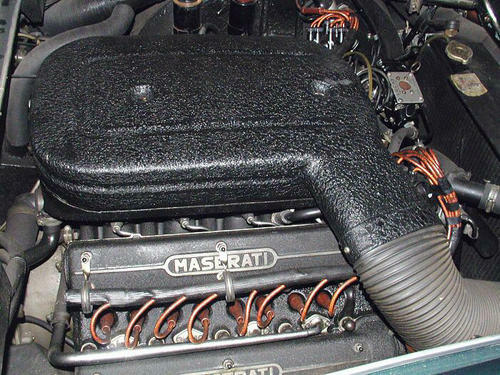 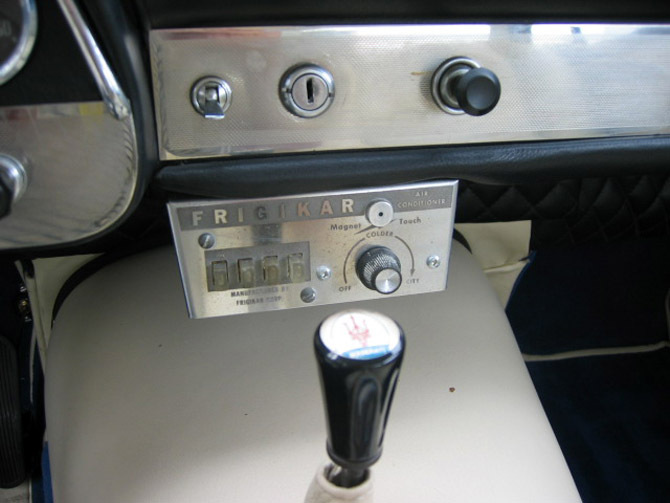 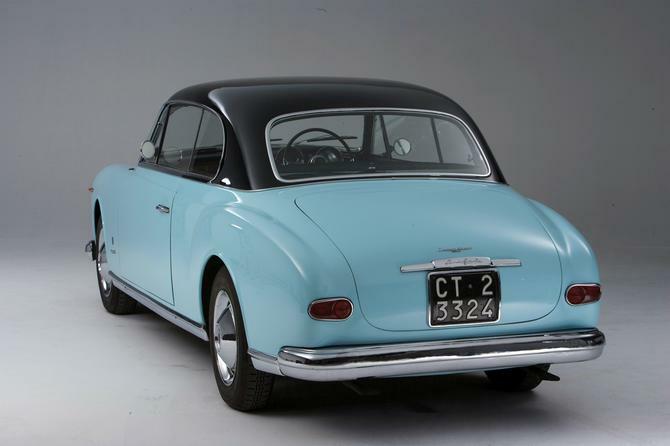 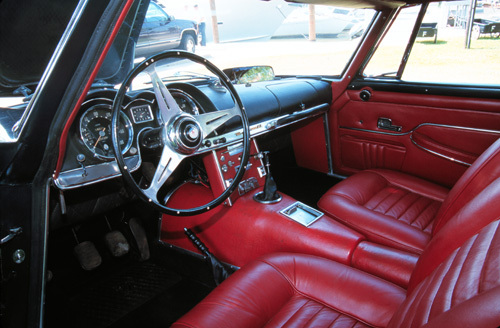 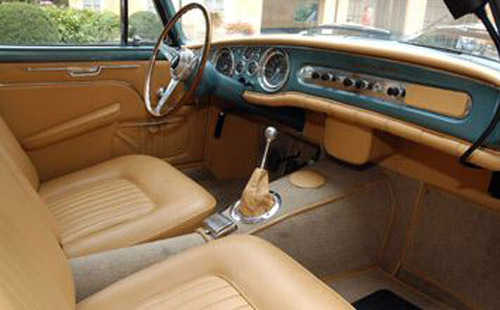 In its final version the A6G/2000 made some 160 horsepower, with three twin-choke Weber carburettors. 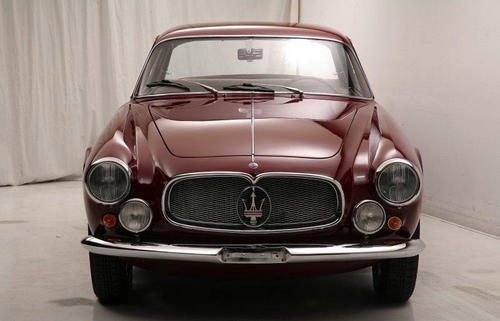 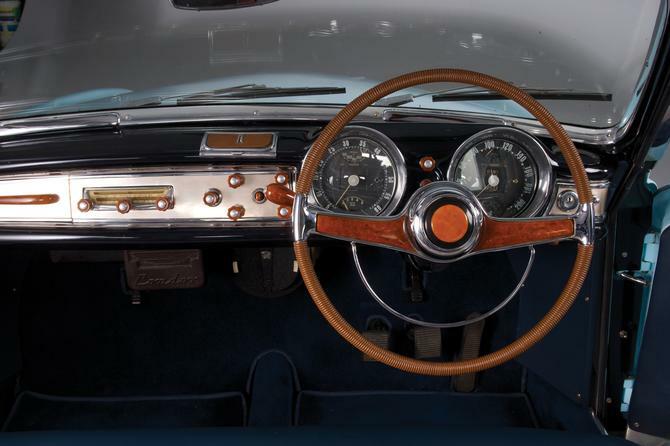 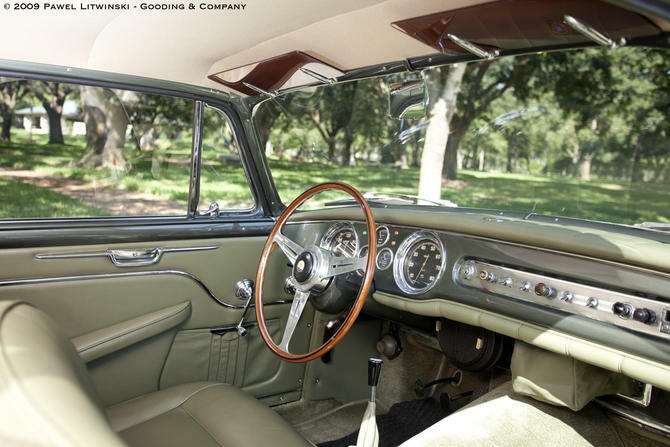 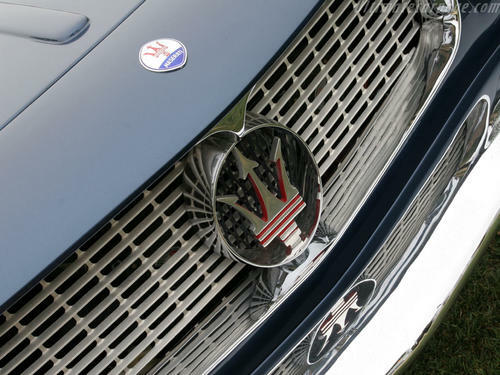 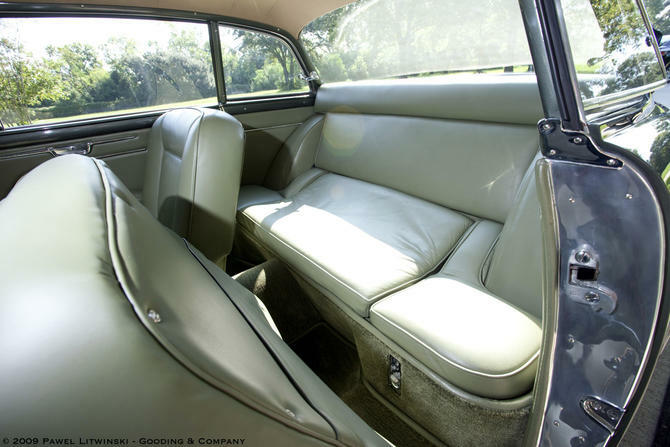 Weighing less than 900 kilograms, the A6G/2000’s performance numbers were quite remarkable, with some reports claiming a top speed of 140 miles per hour. 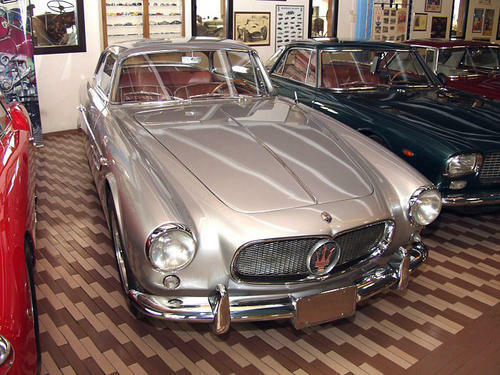 Carrozzeria Allemano built 21 Maserati A6 examples. 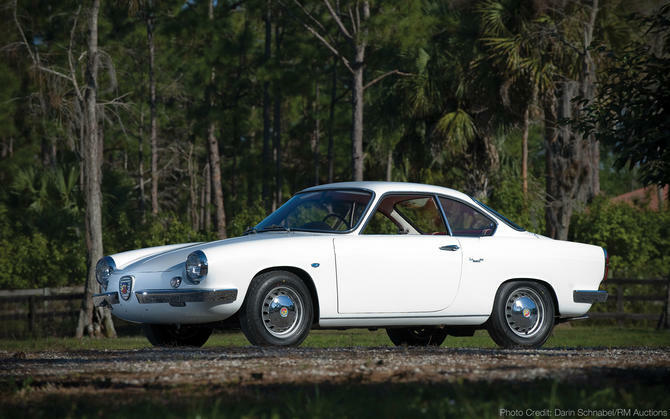 The Abarth Coupe in this gallery is built on Fiat’s 750/850 GT chassis, powered by an 850 cc engine coupe, and fitted with a body by Carrozzeria Allemano of Torino, Italy. 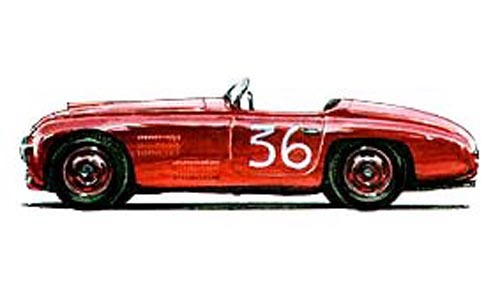 The exact number built is not known, but it is generally agreed that the total is less than 200. 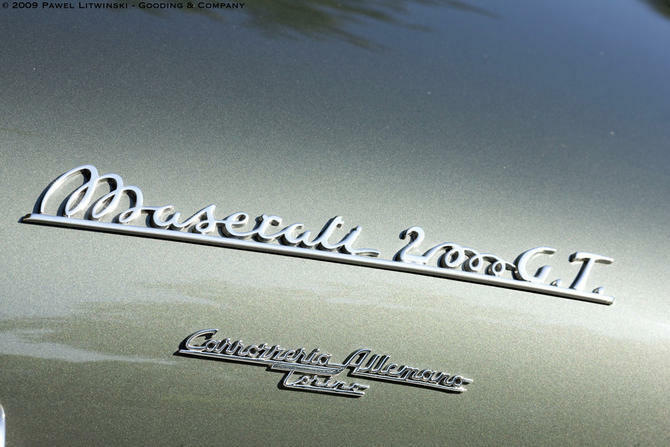 Currently, less than 10 are known to exist in North America. 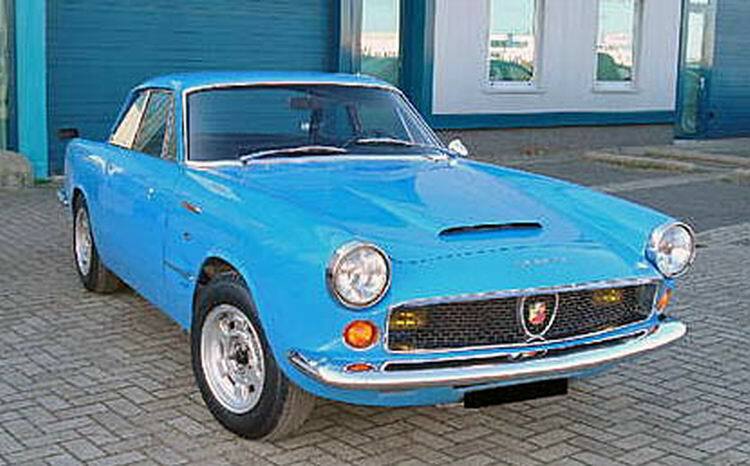 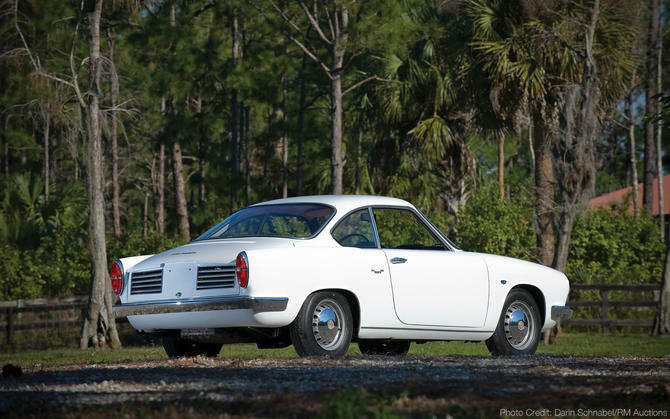 In the book The Italian Car Registry by John de Boer, less than 30 of the nearly 600 Abarth 750/850 GT cars listed are Allemano coupes. 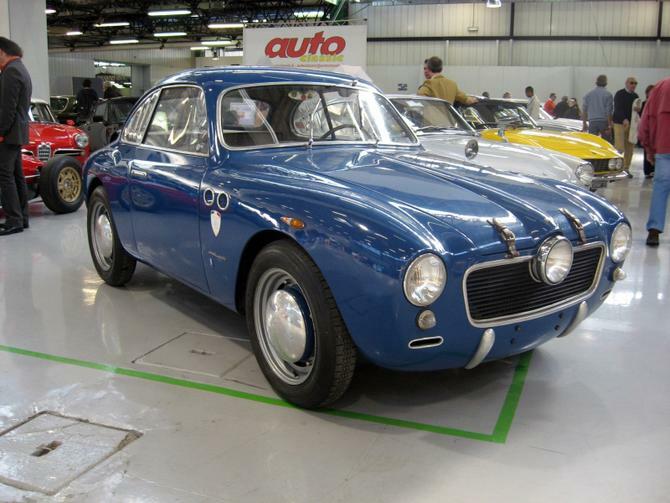 In its day, the Abarth Allemano Coupe was very well received but sold in very small numbers. 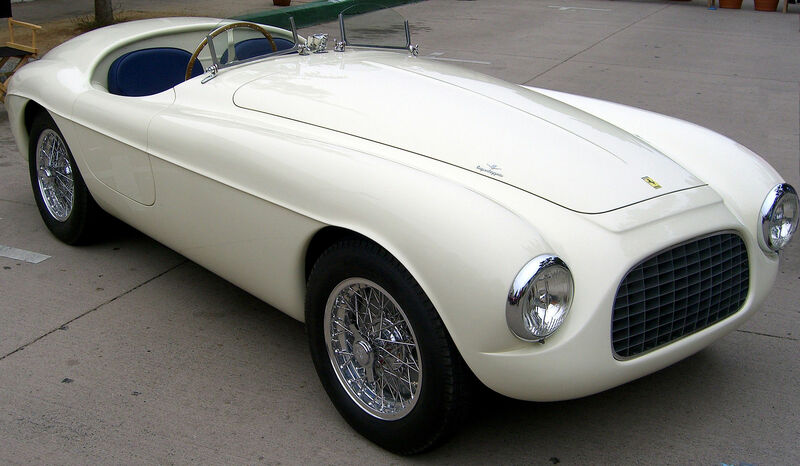 At a price of $3,385, it was in direct price competition with the Porsche Speedster and Alfa Romeo Guiletta Spyder.